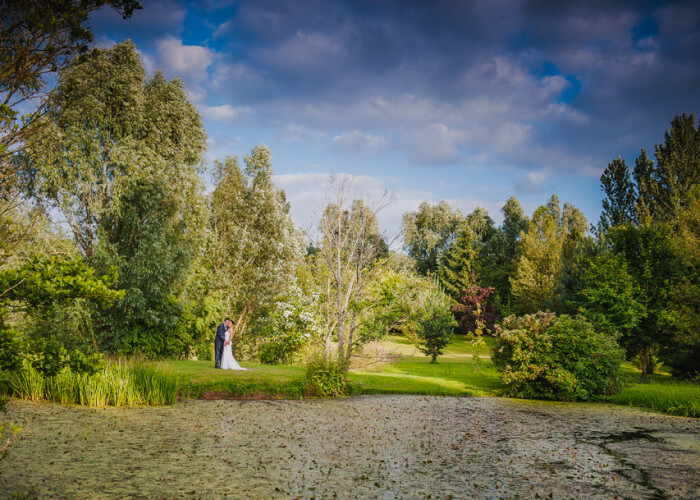 I was delighted when Ruth and Adam asked me to be their wedding photographer as this was going to be an at home wedding. 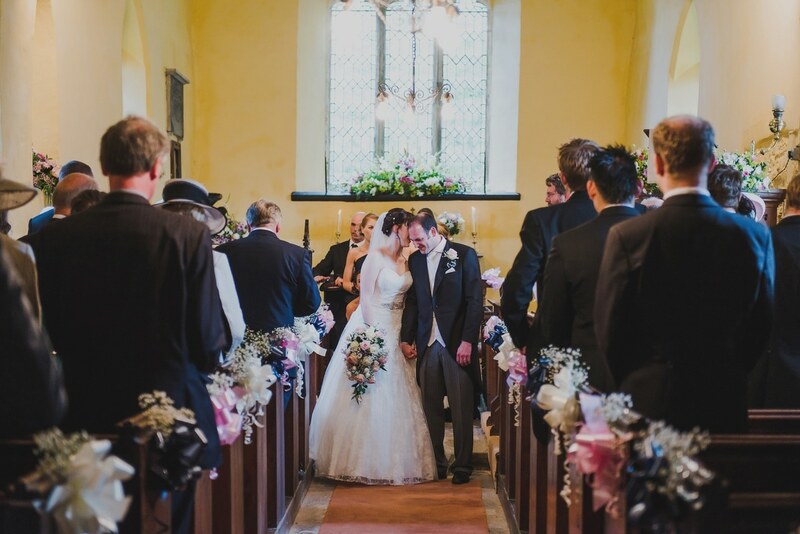 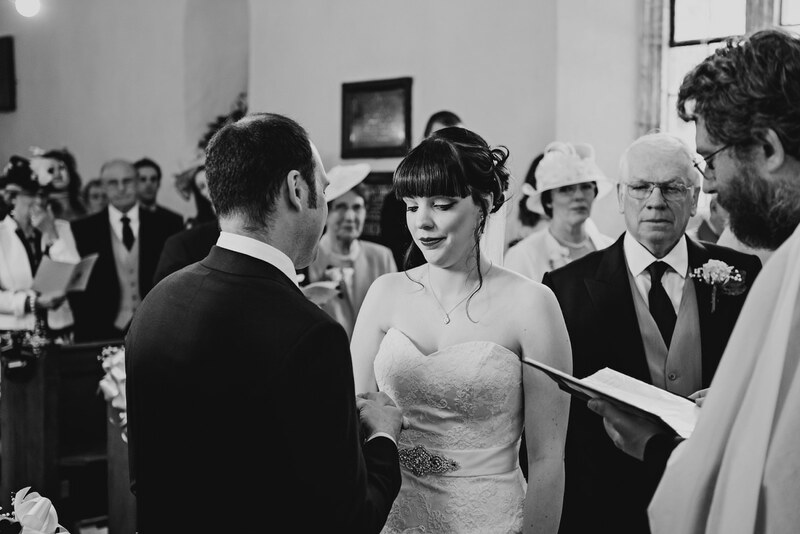 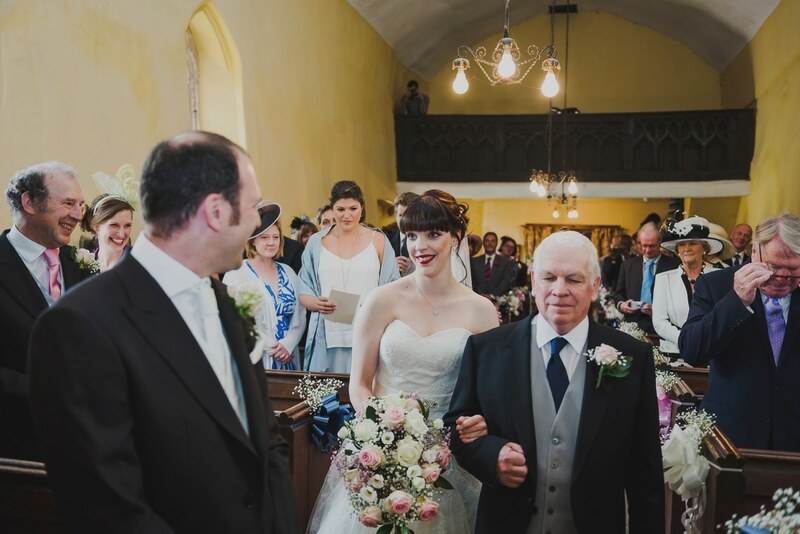 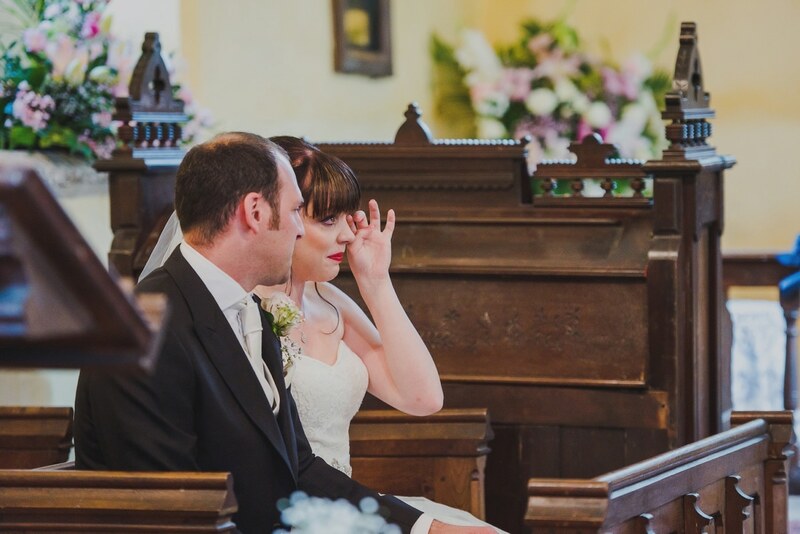 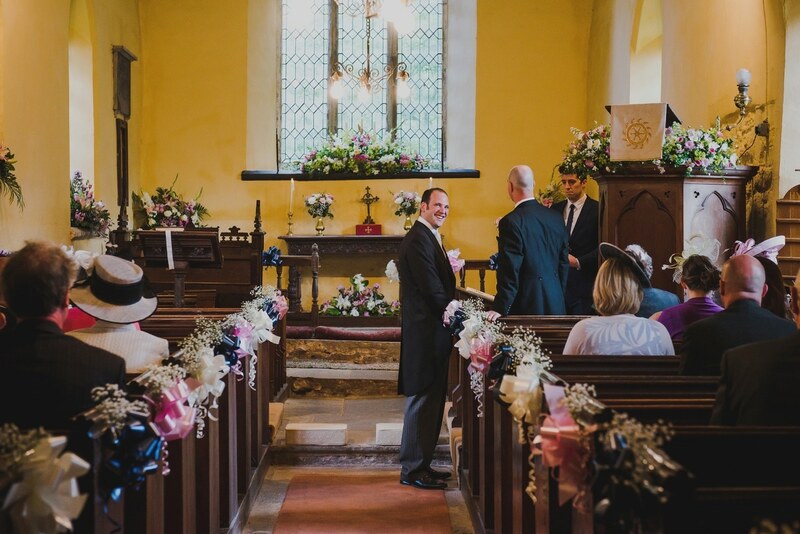 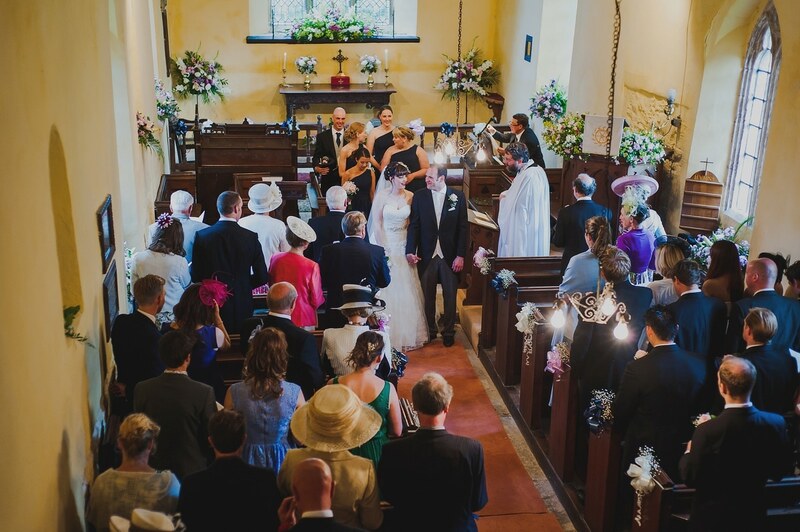 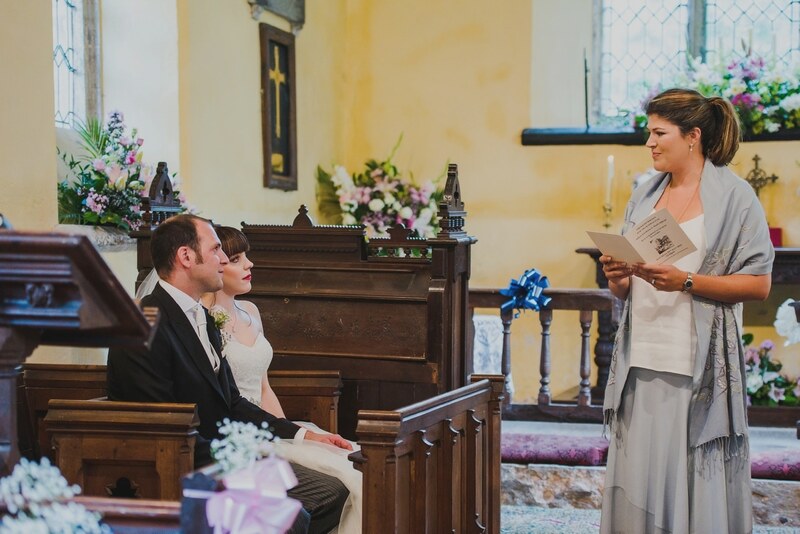 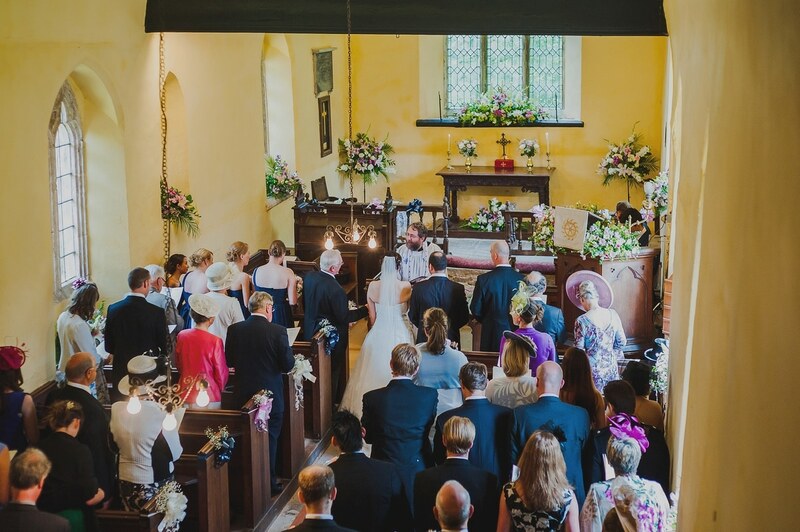 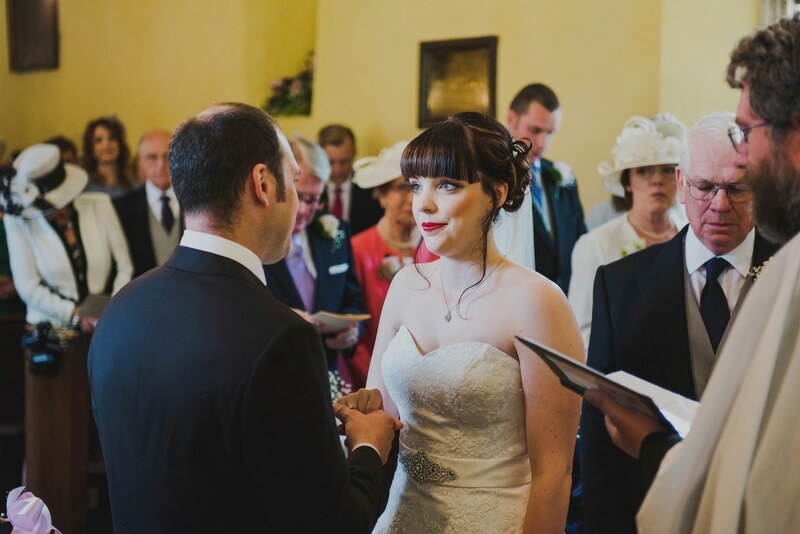 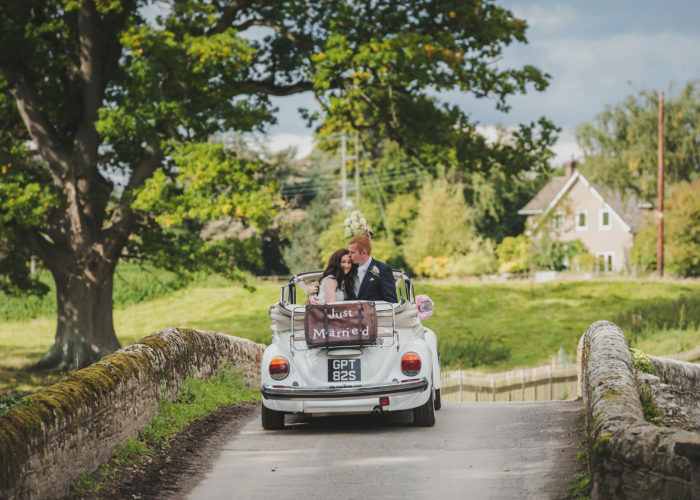 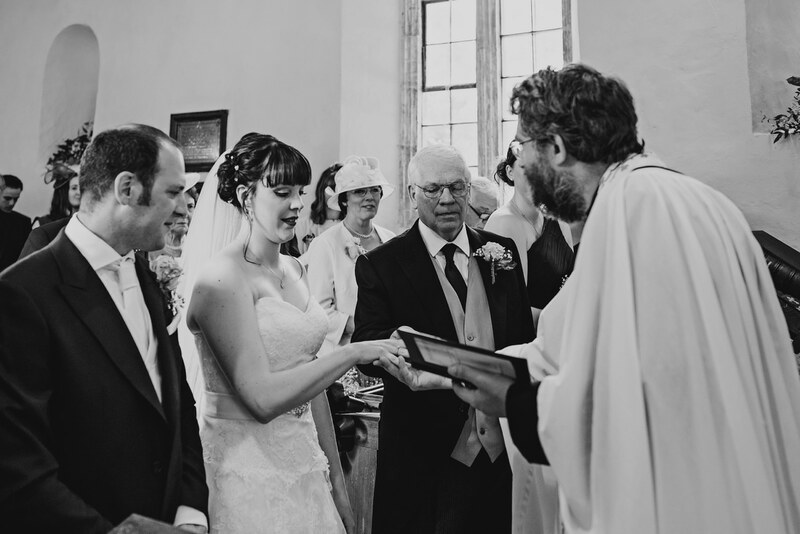 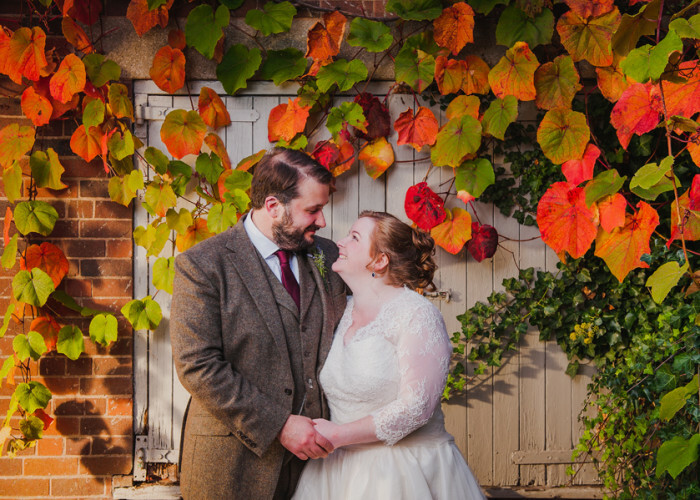 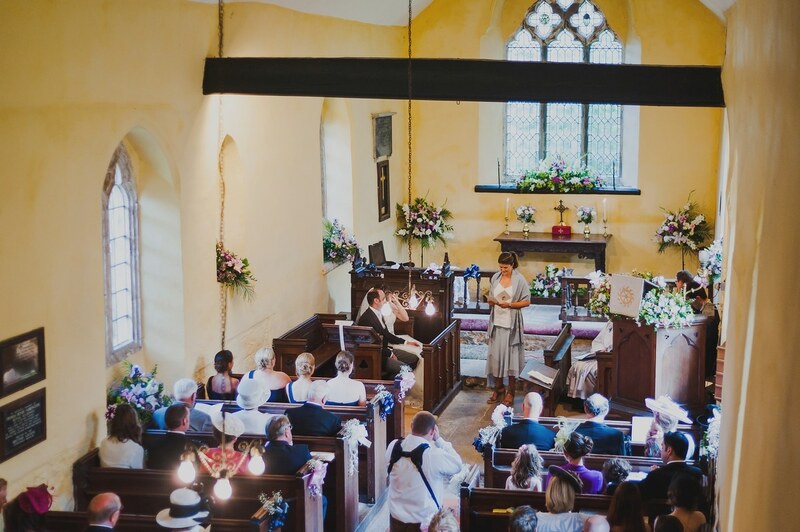 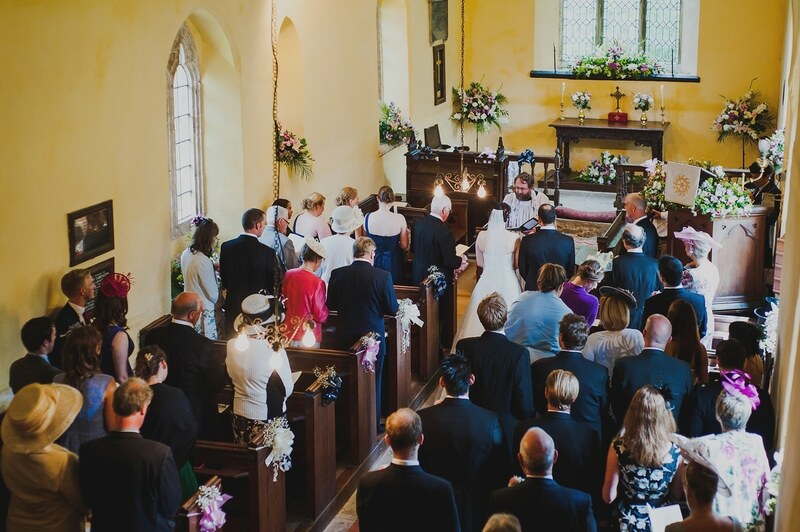 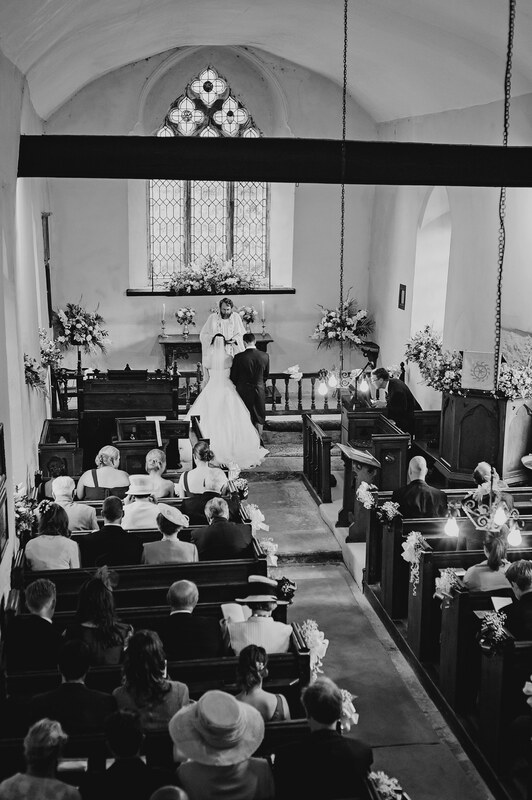 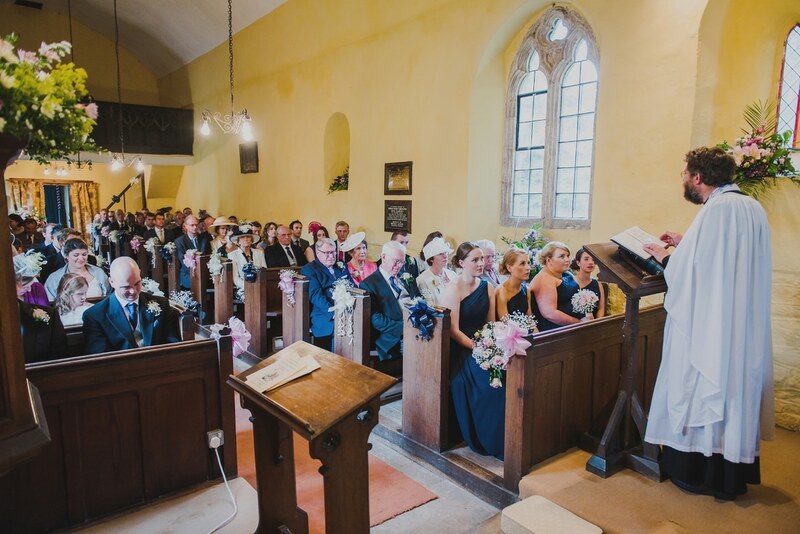 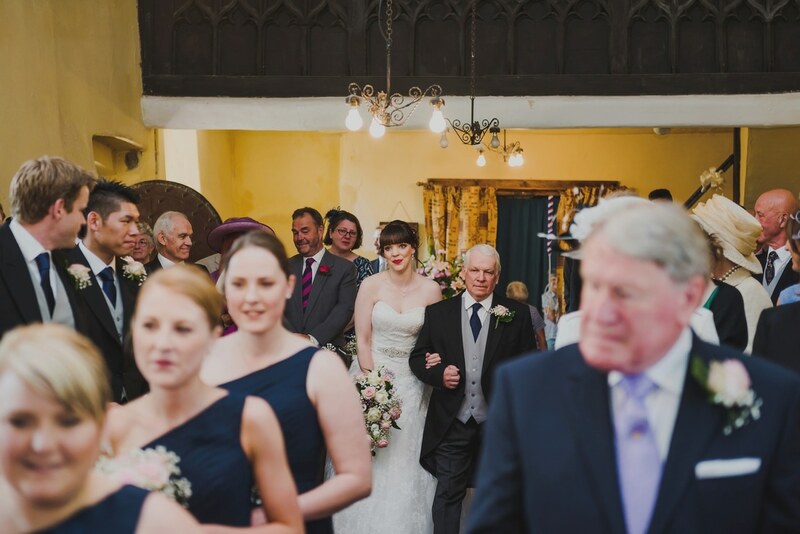 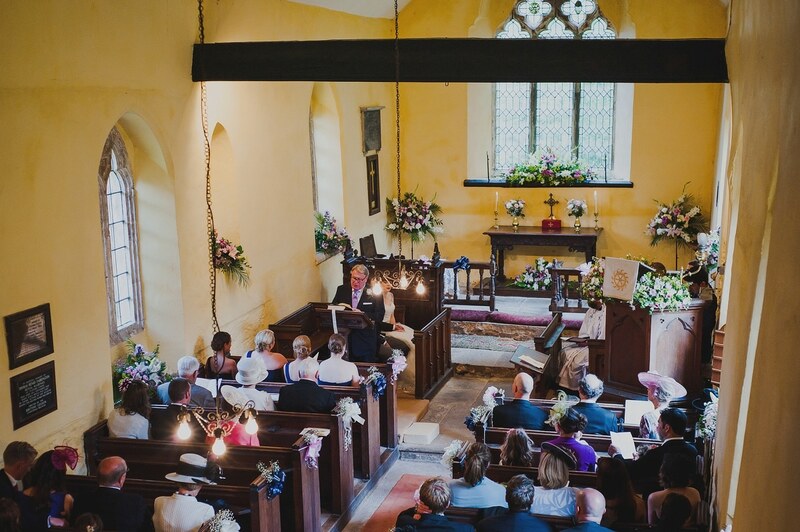 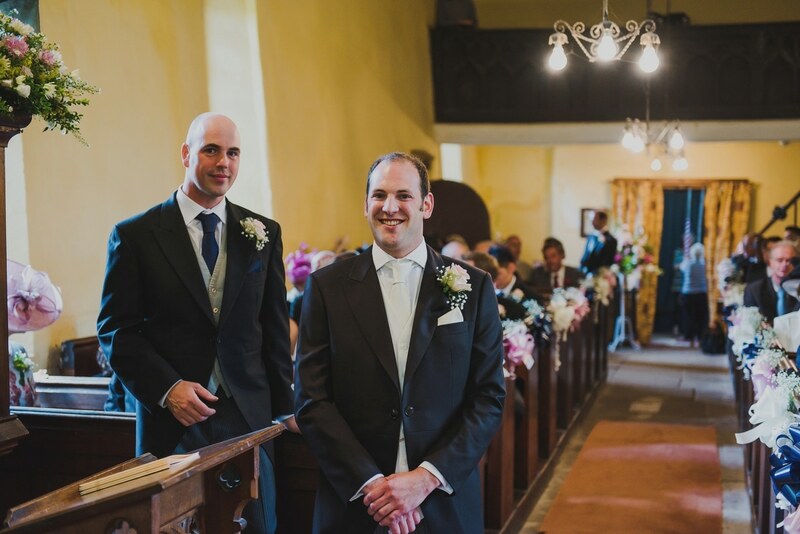 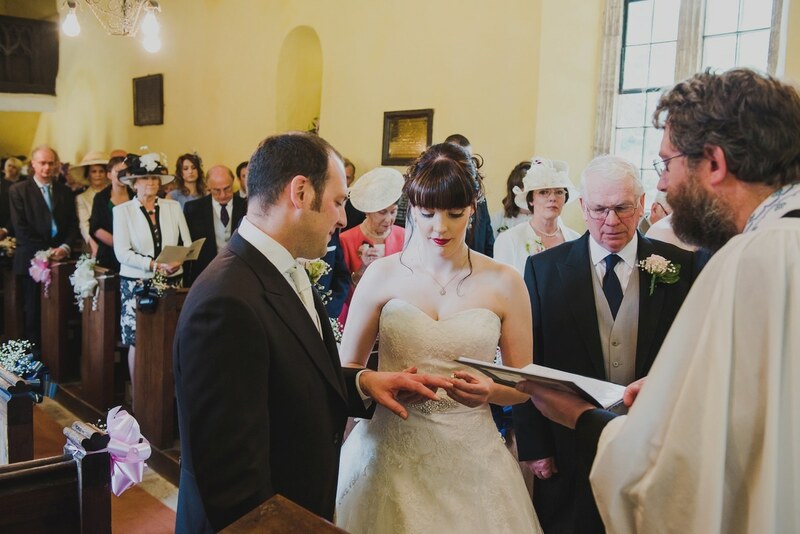 I’m also super excited that their wedding was going to be at St Catherine’s Church, Tugford in Shropshire. 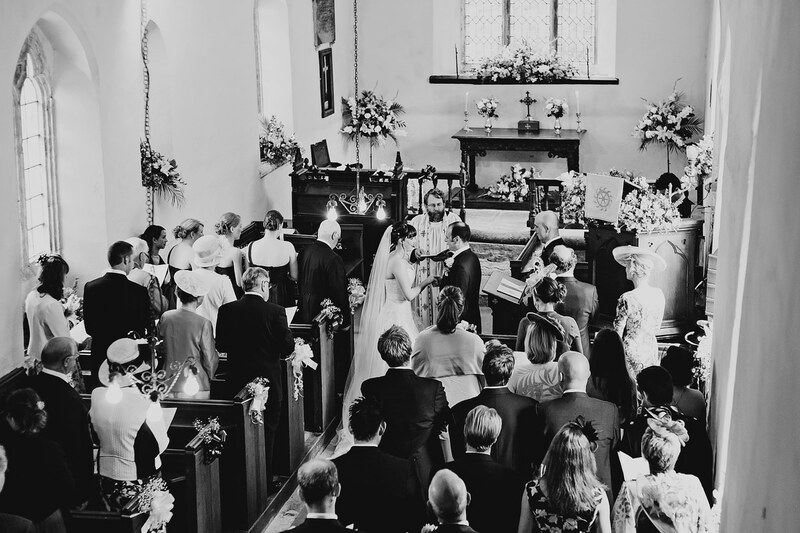 I have been wanting to shoot a wedding at this stunning church for some time and it was perfect as Ruth and Adam had decided to hire a second photographer for the day. 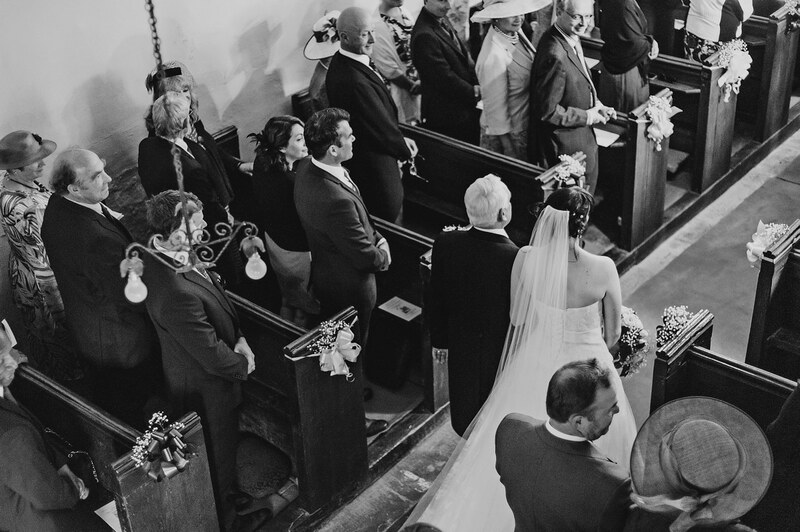 So myself and photographer Edward fury a very good friend and fellow photographer could be in two places at once during the service. 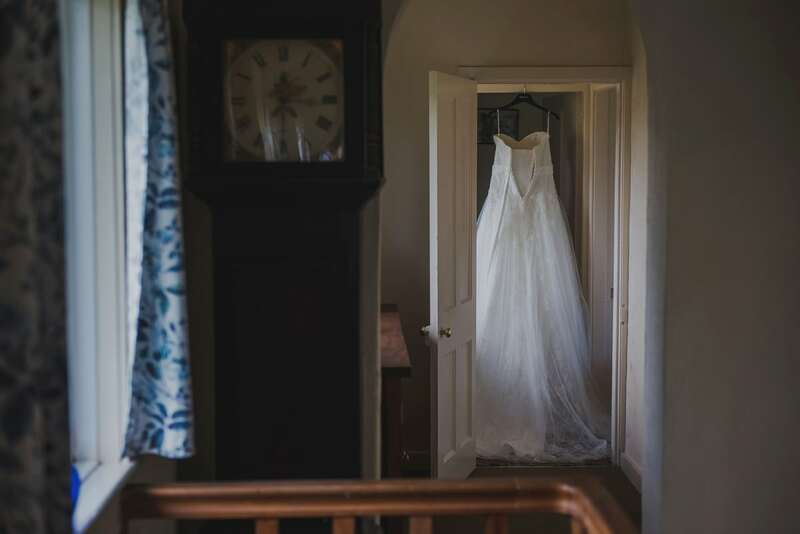 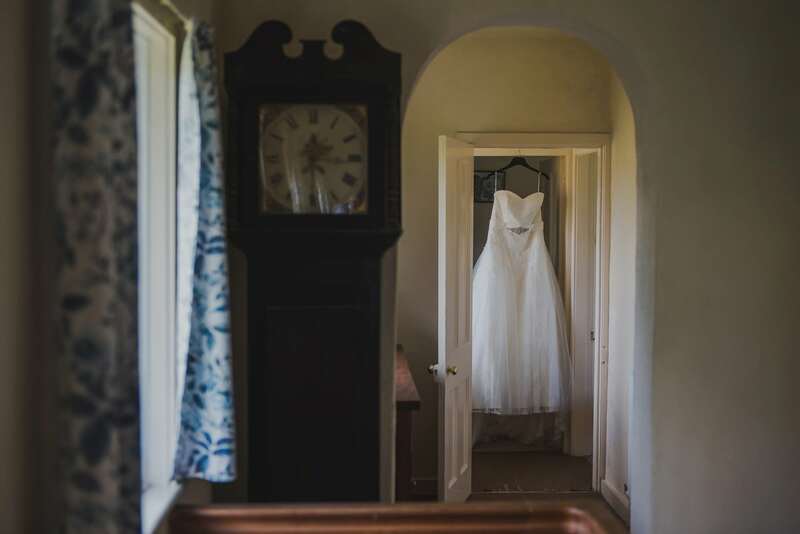 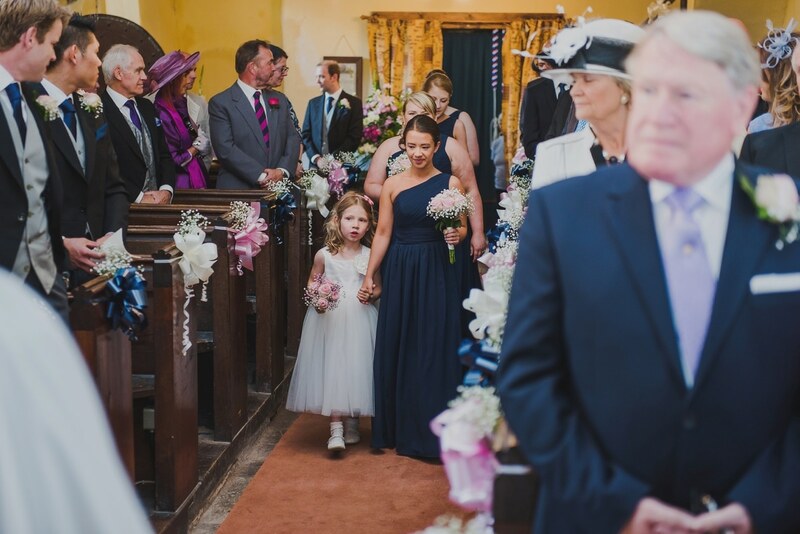 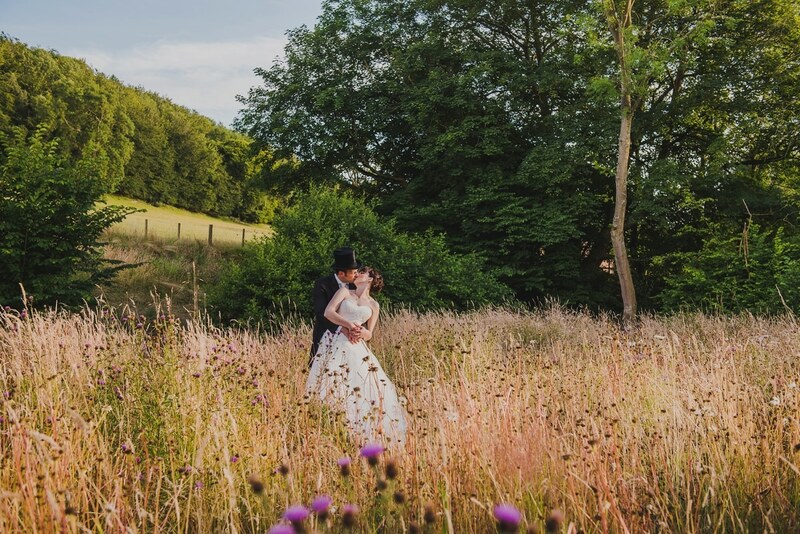 The day started and finished at their home, right in the heart of the Shropshire hills just down the road from the church. 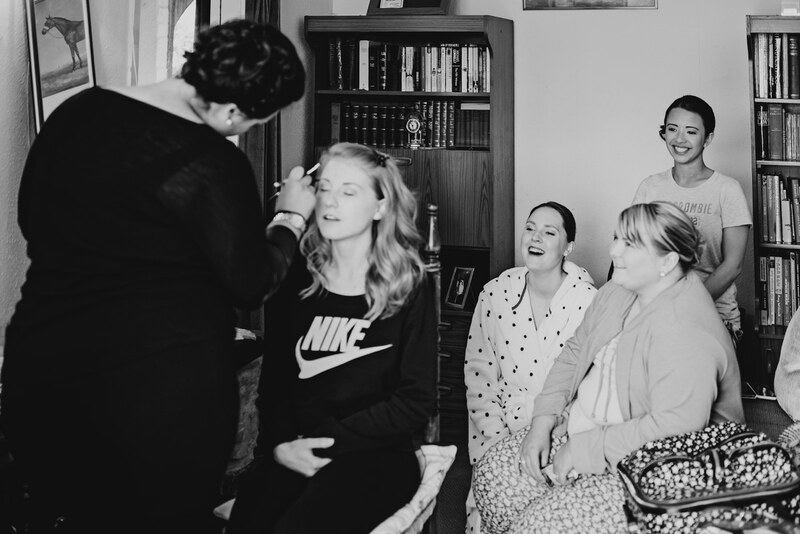 This is where Ruth and her bridesmaids got ready, but it was to be the scene of a really lovely and relaxed outdoor wedding reception for later that evening. 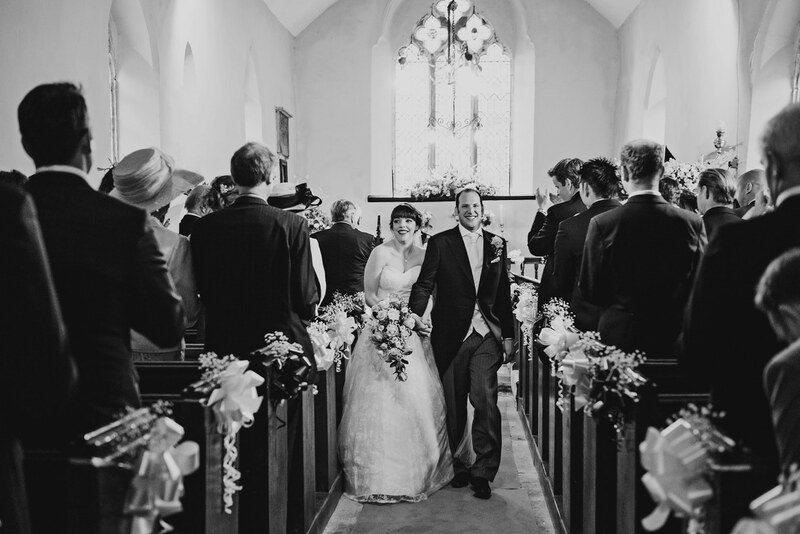 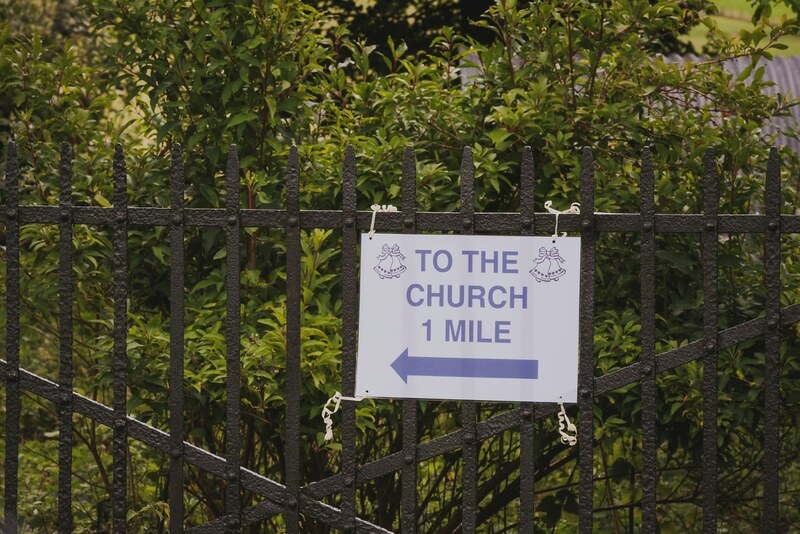 It was just a short drive to get to their church for the wedding ceremony. 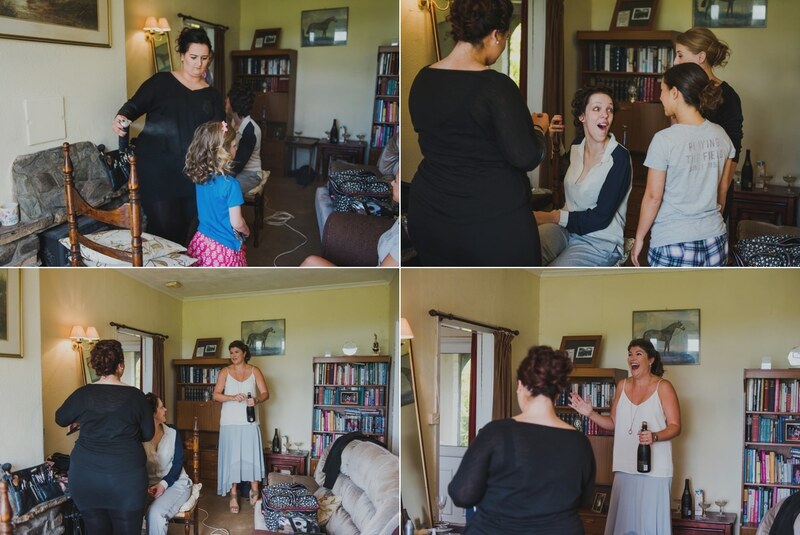 After the service and confetti shots it was time for drinks and canapés back at the family home. 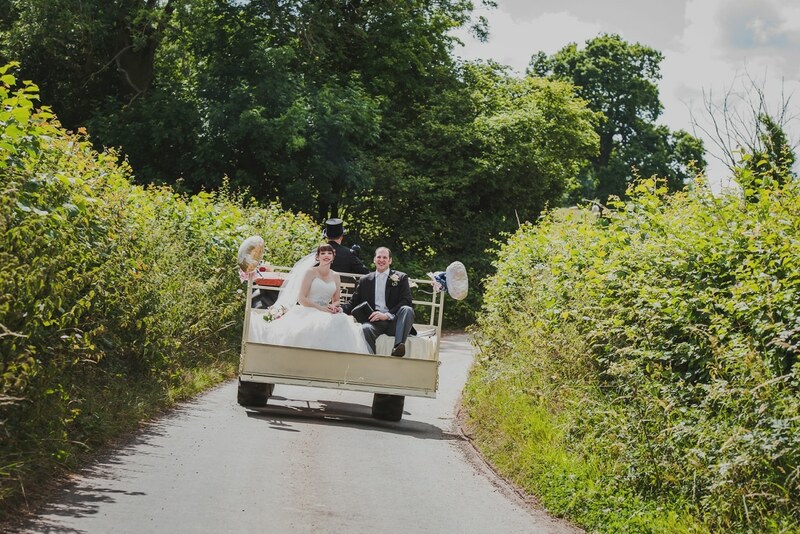 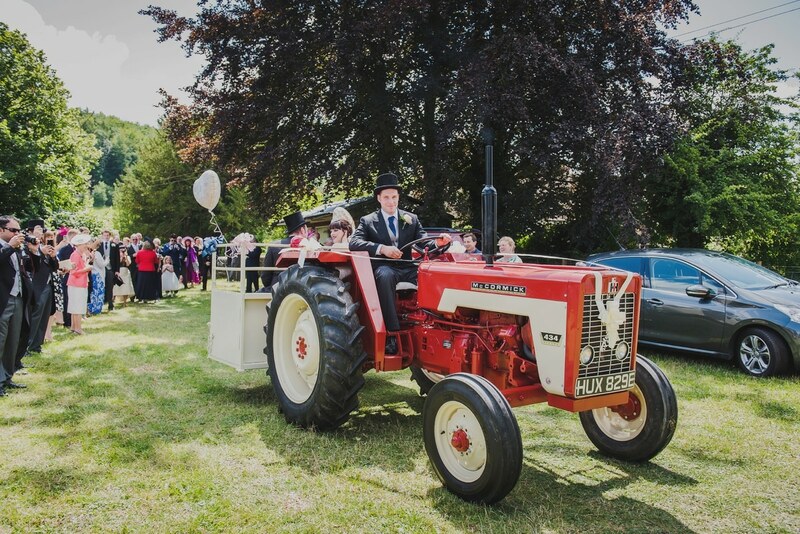 Ruth’s brother used his pride and joy vintage tractor to chauffeur Ruth and Adam back from church in style. 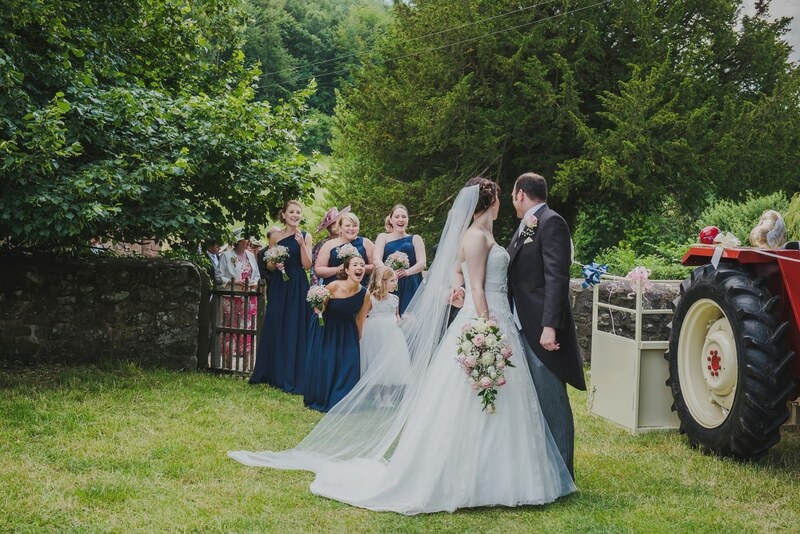 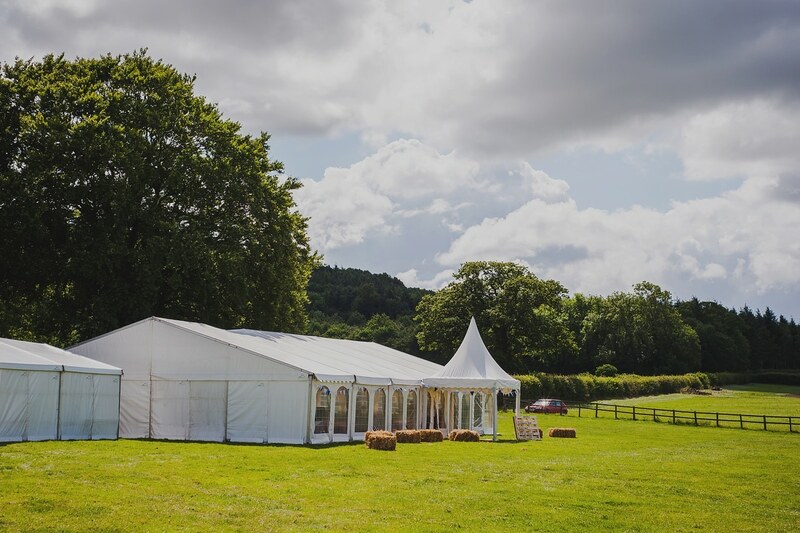 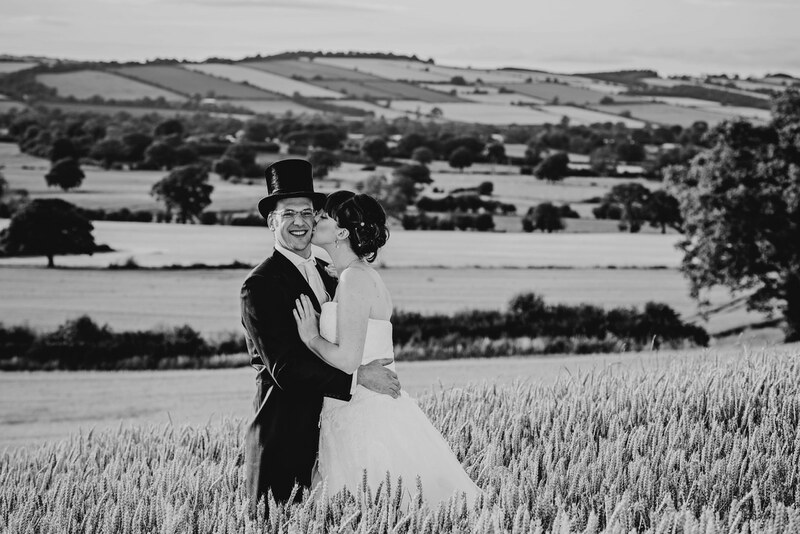 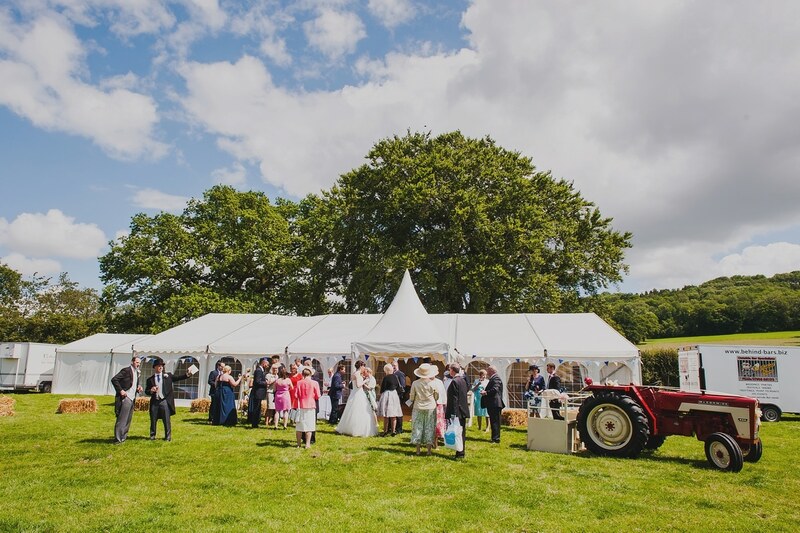 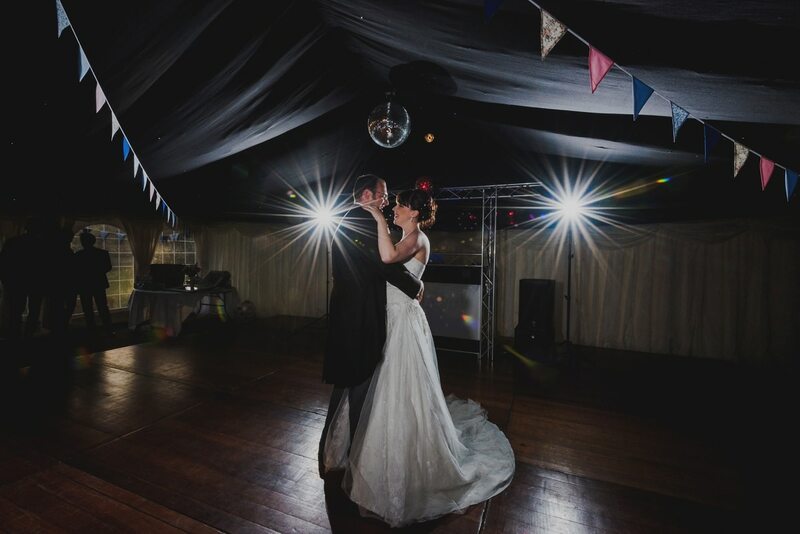 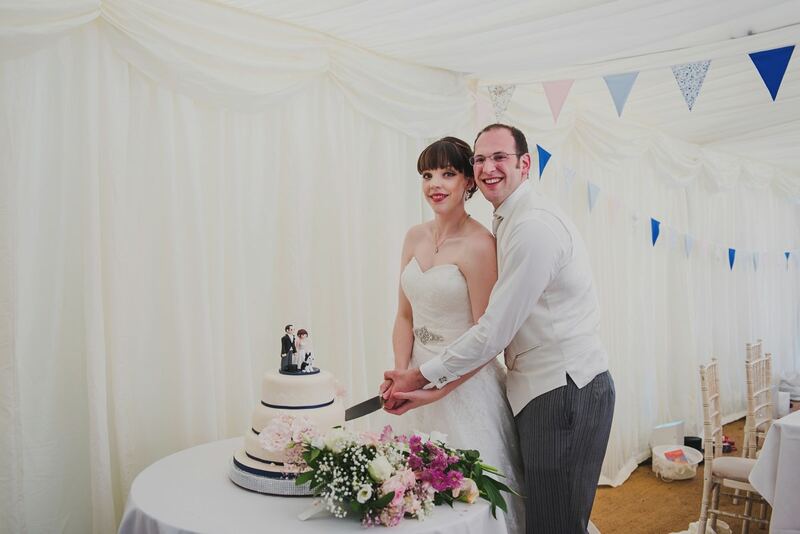 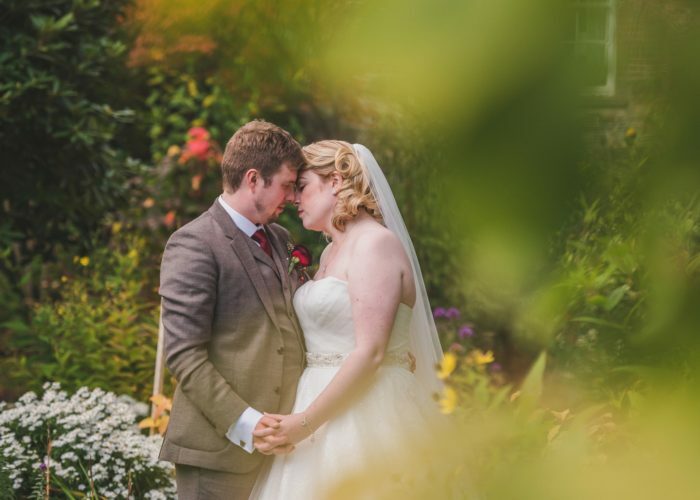 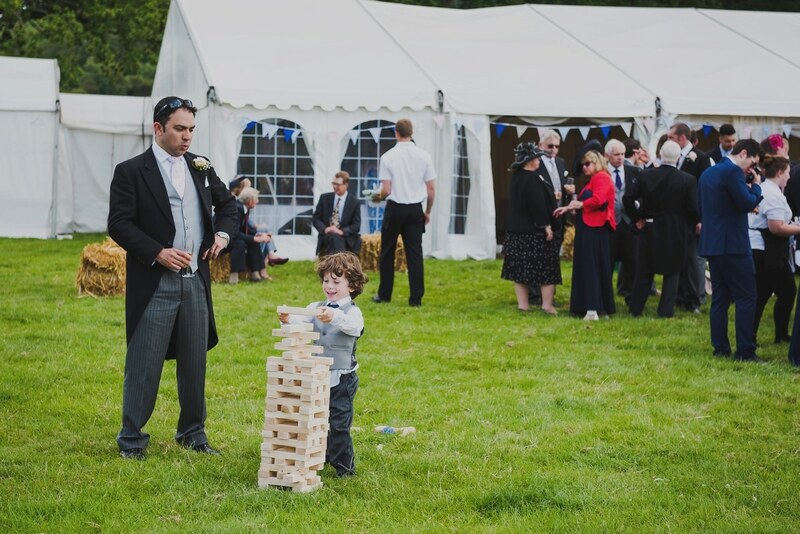 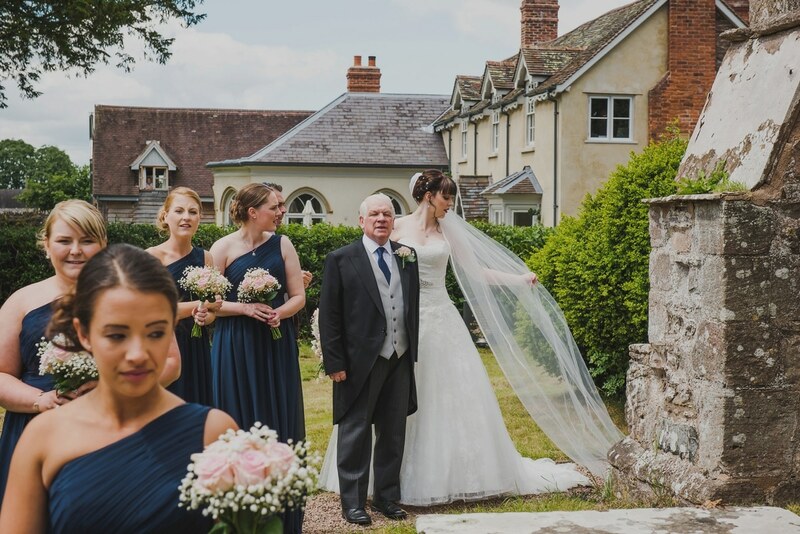 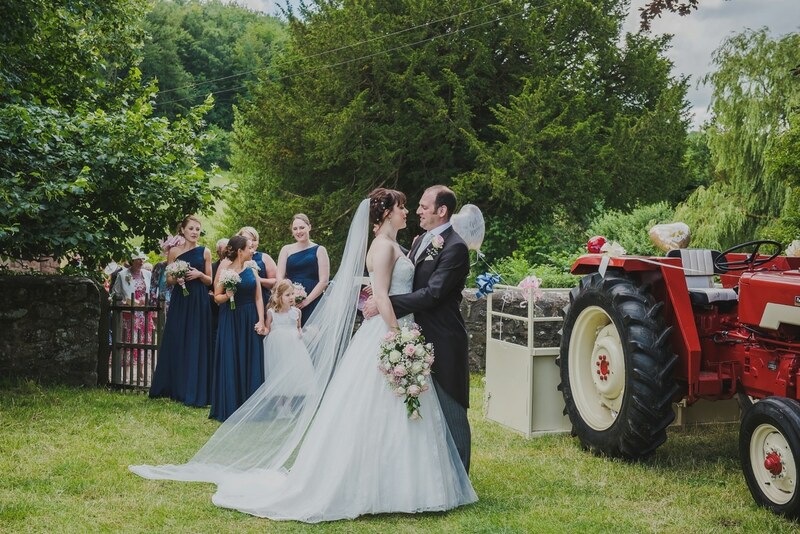 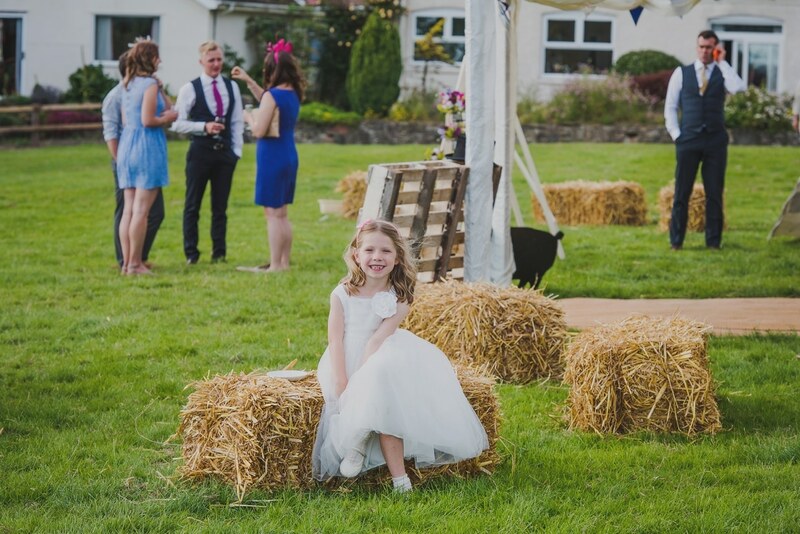 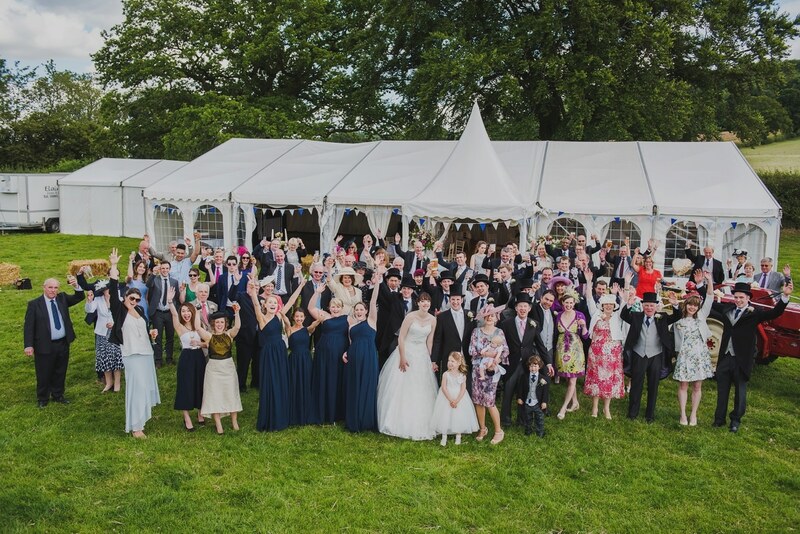 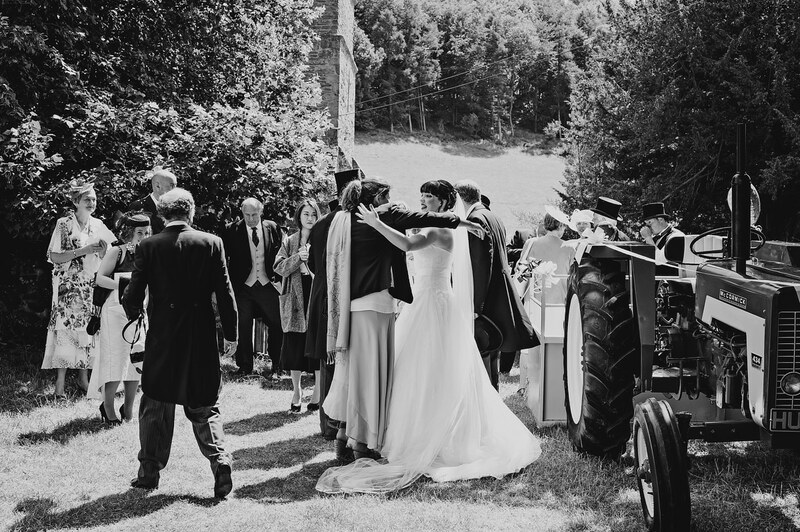 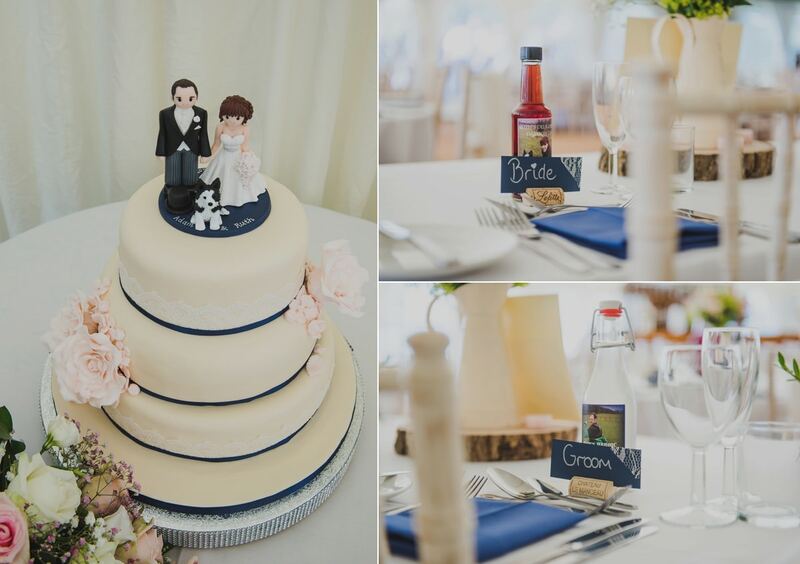 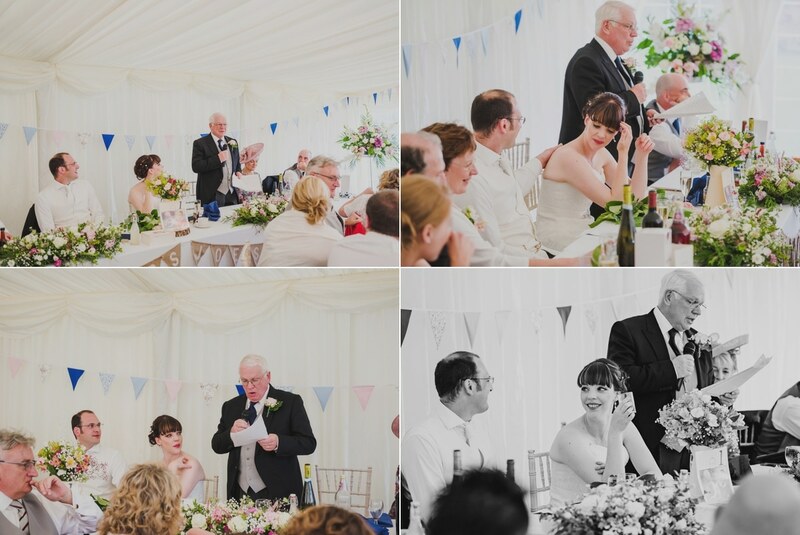 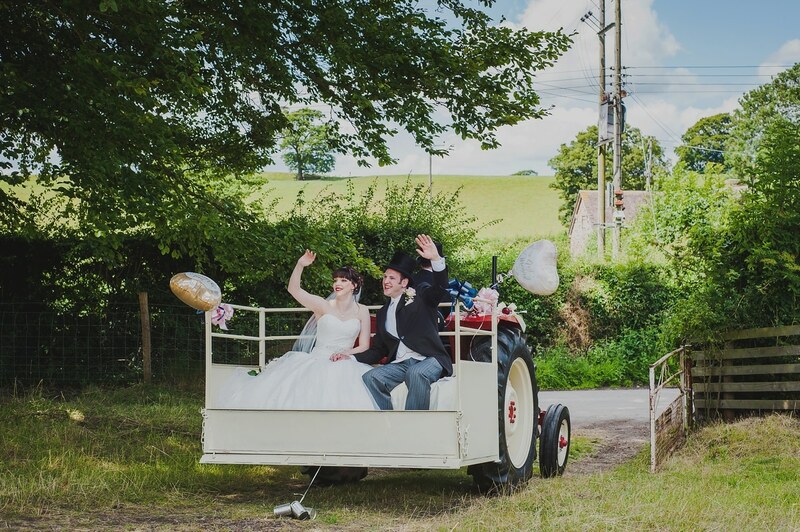 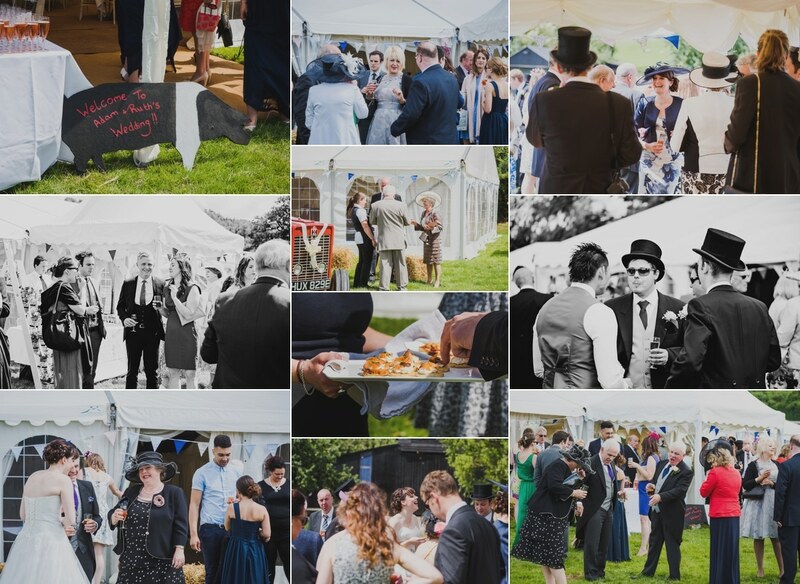 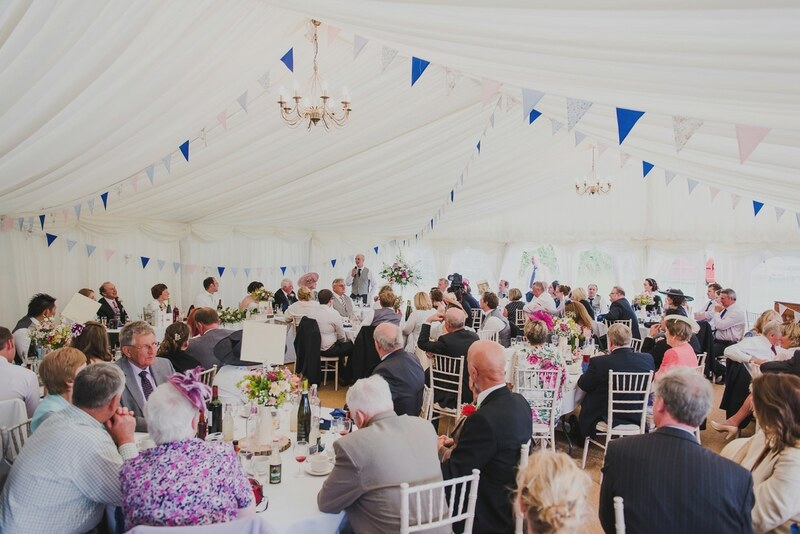 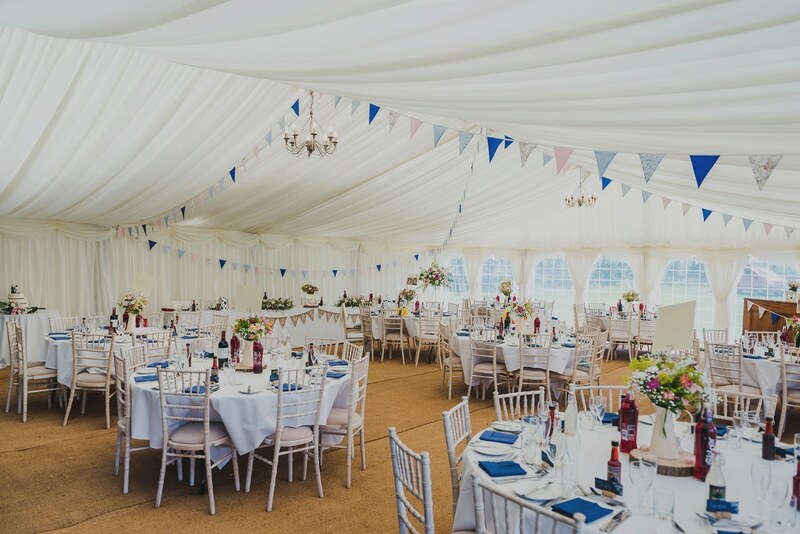 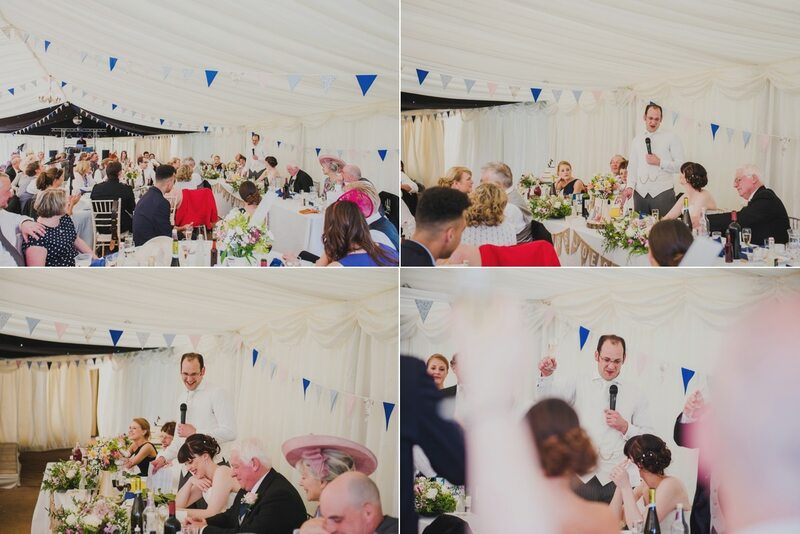 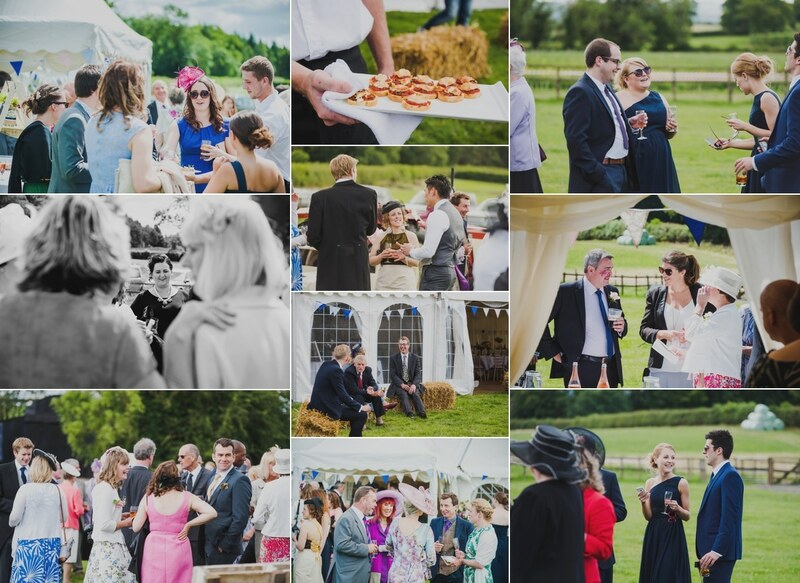 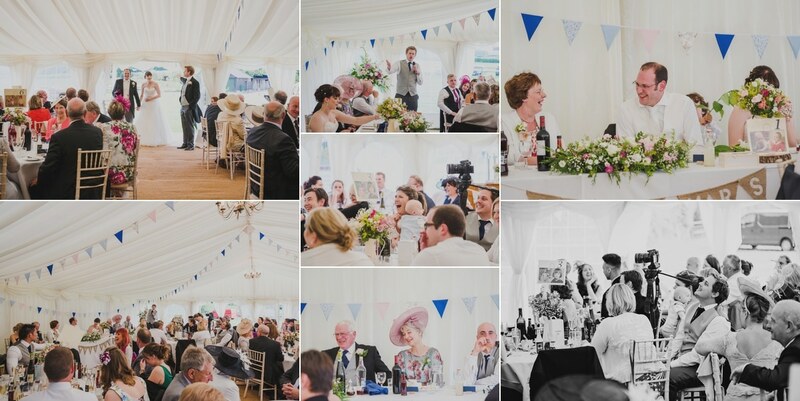 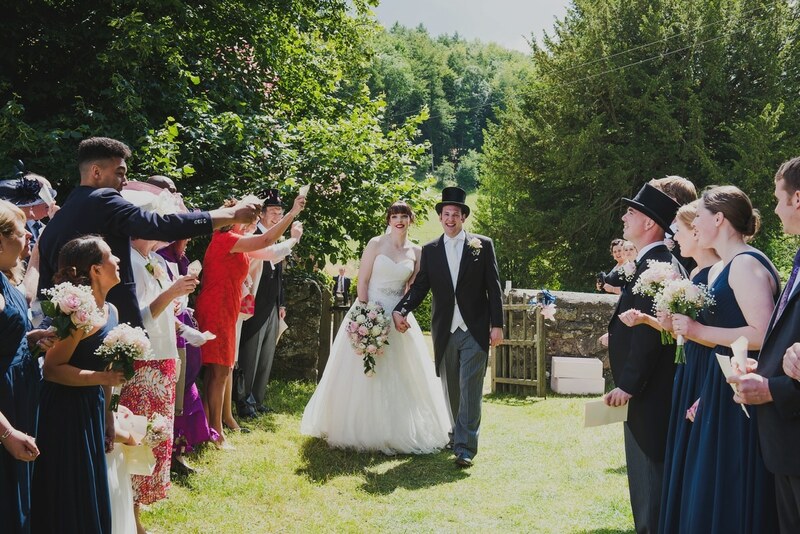 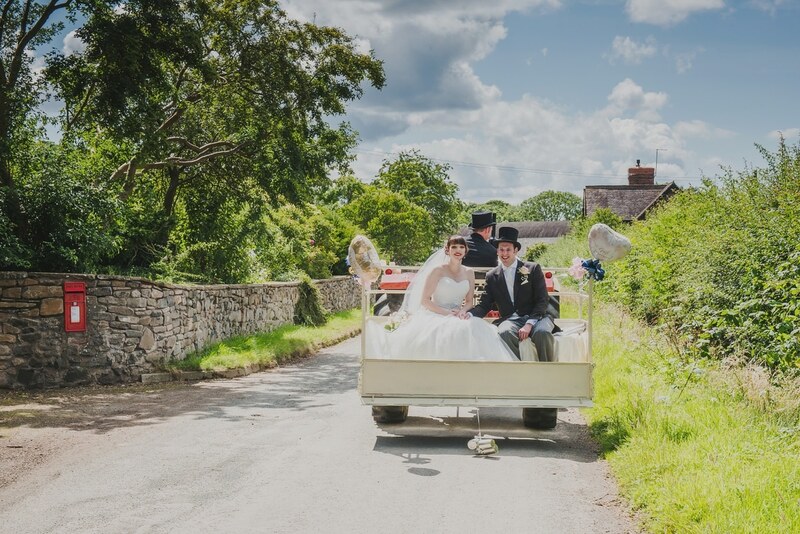 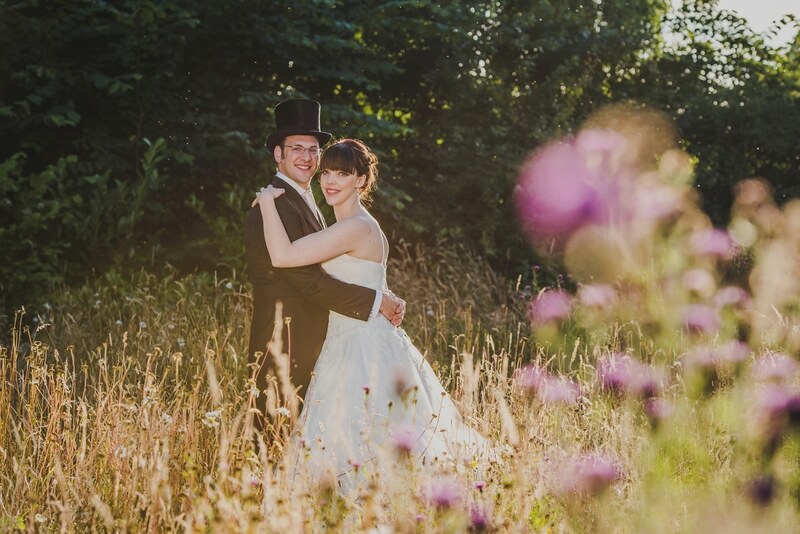 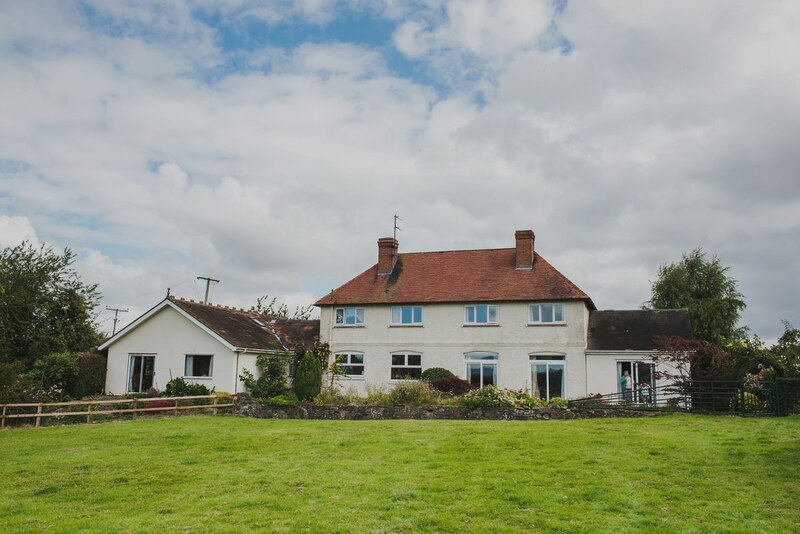 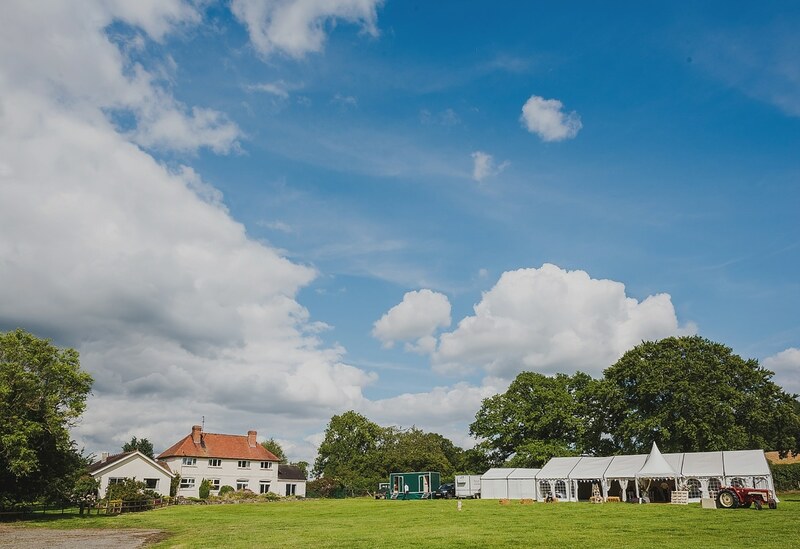 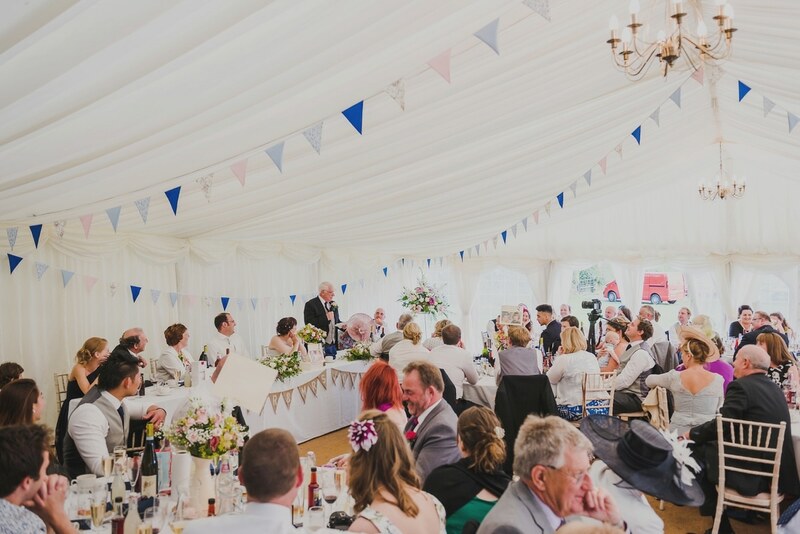 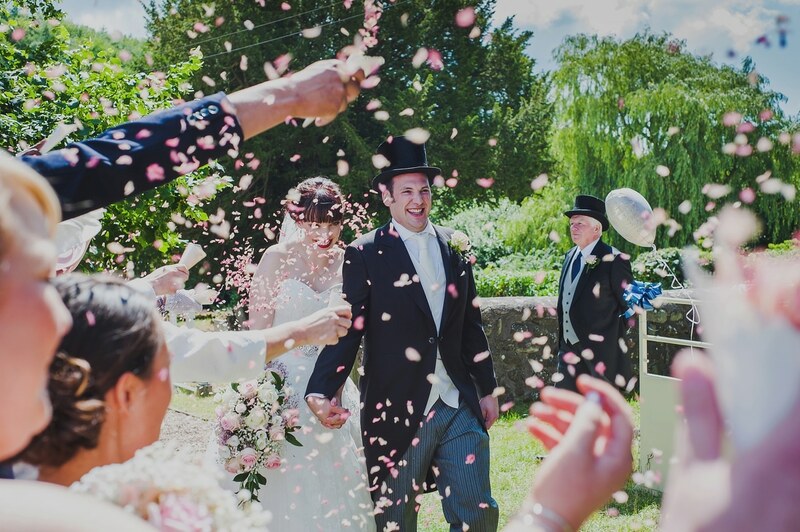 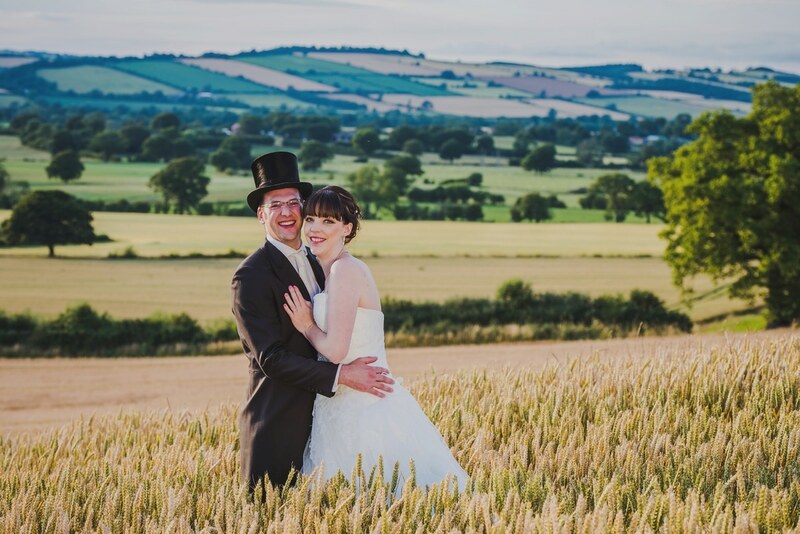 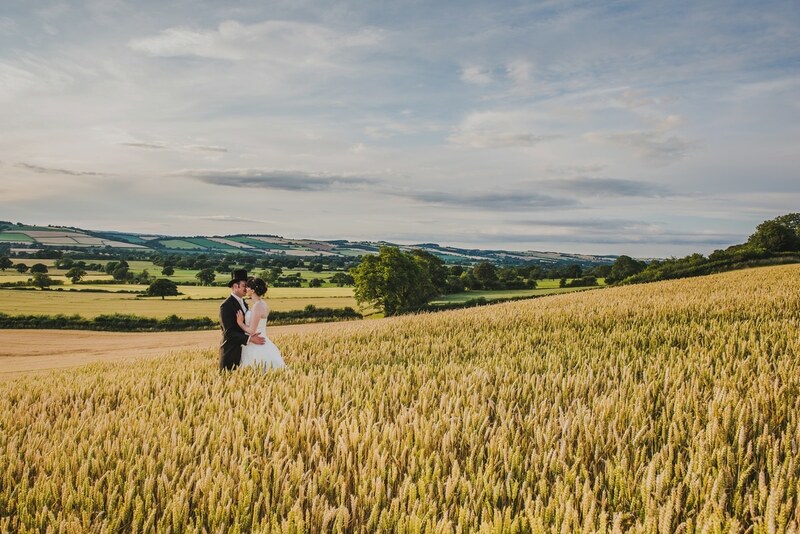 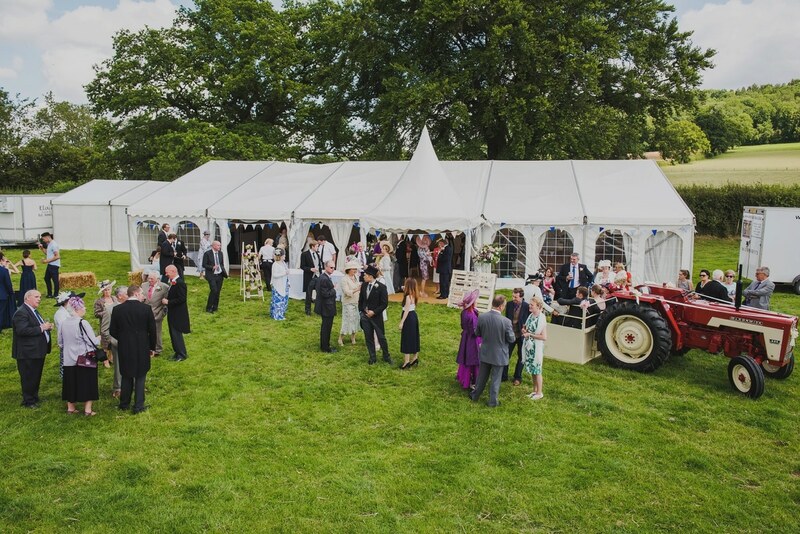 Ruth and Adam had a marquee set-up in the adjoining field next to the house, hay bales and all other sorts of decoration made this at home wedding perfect. 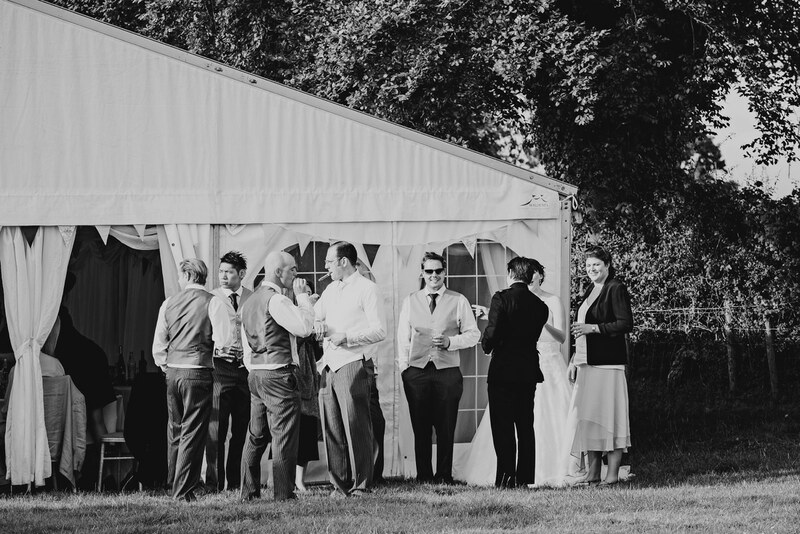 The weather was good and it was such a relaxed wedding and nice having all Ruth’s and Adam’s family and friends celebrating this special day. 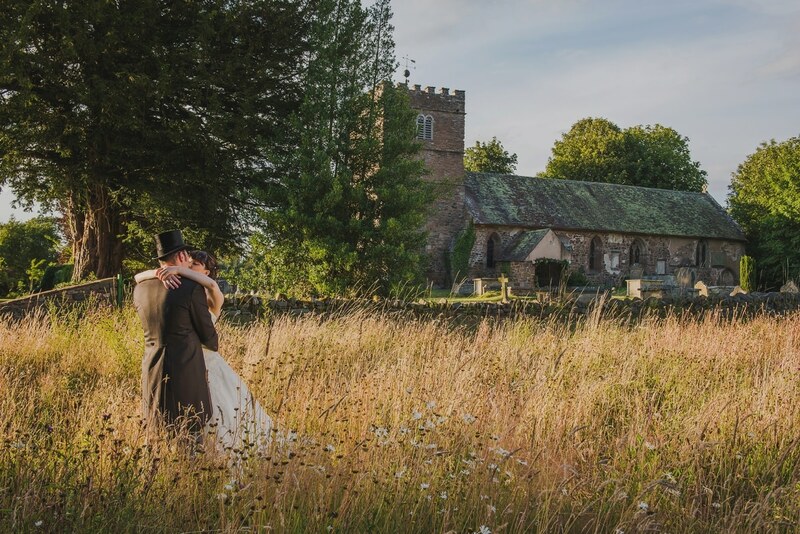 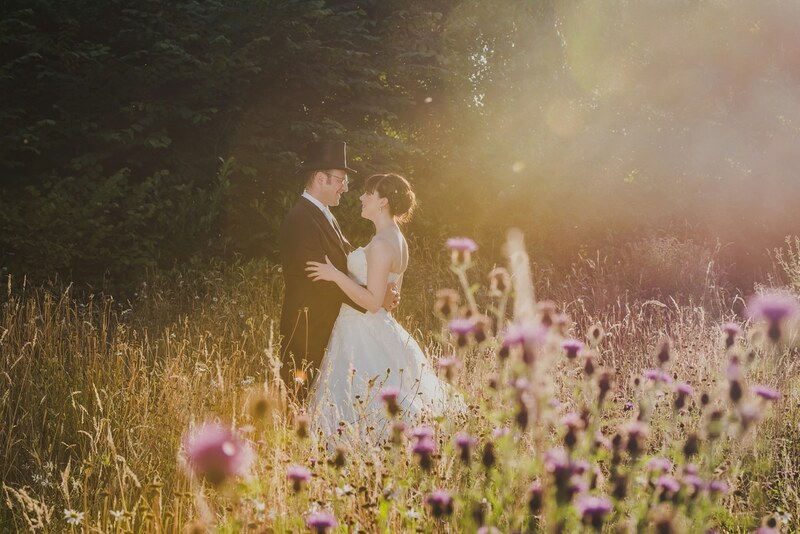 After the speeches and meal we headed back to St Catherine’s Church for photos as it had a fantastic wild meadow. 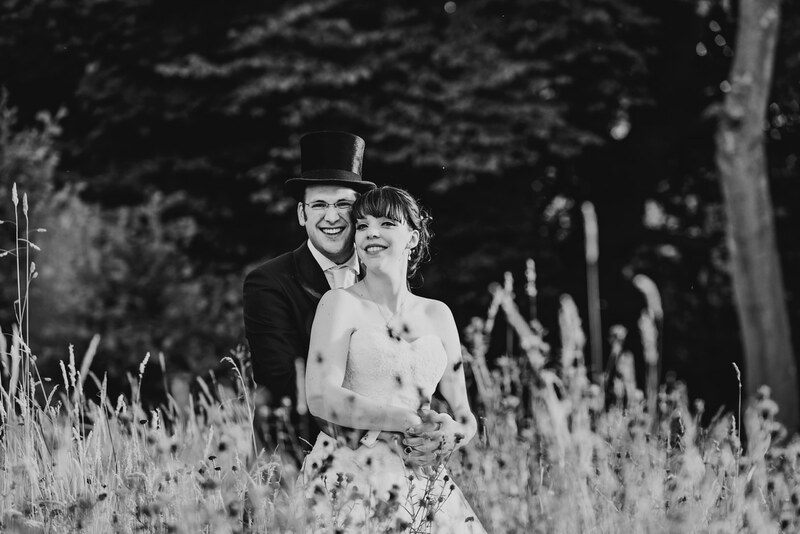 We jumped back into my car and drove to some locations we had visited on their engagement shoot which you can find here. 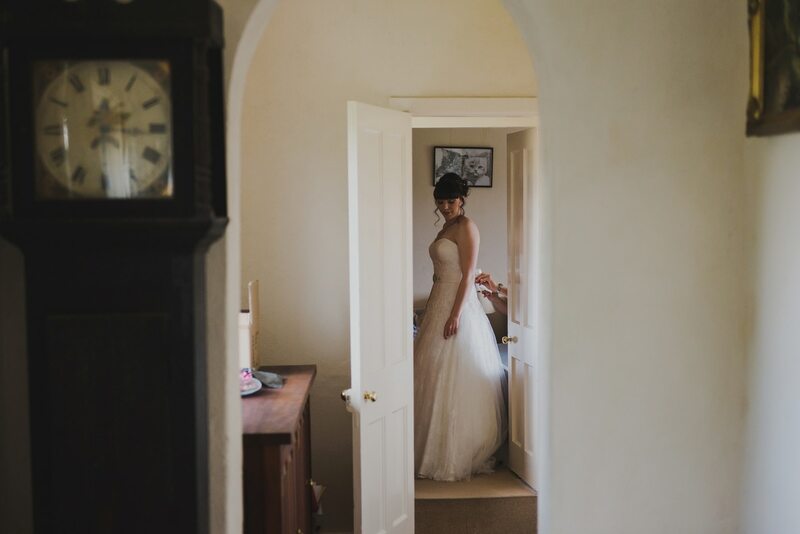 Then it was back to the house where they were to party the rest of the evening away. 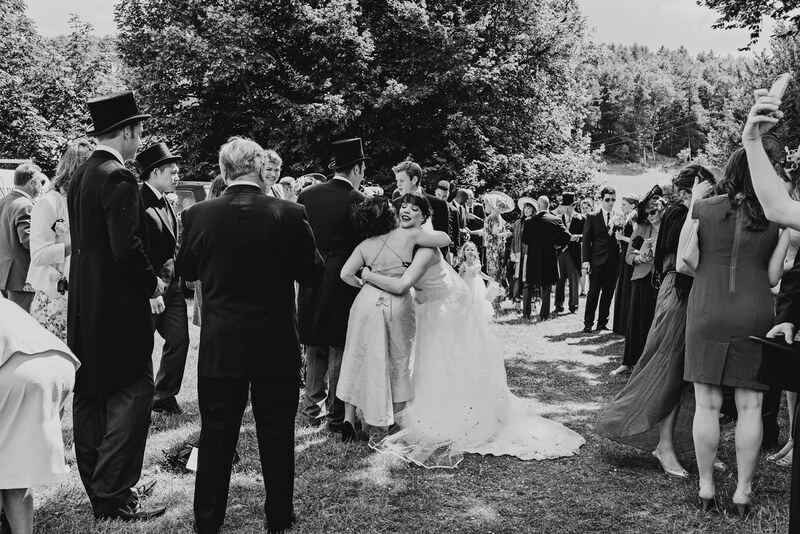 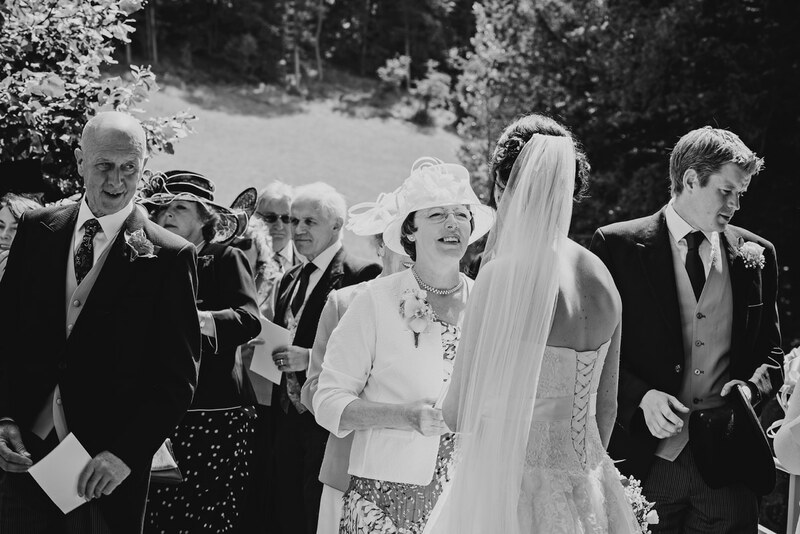 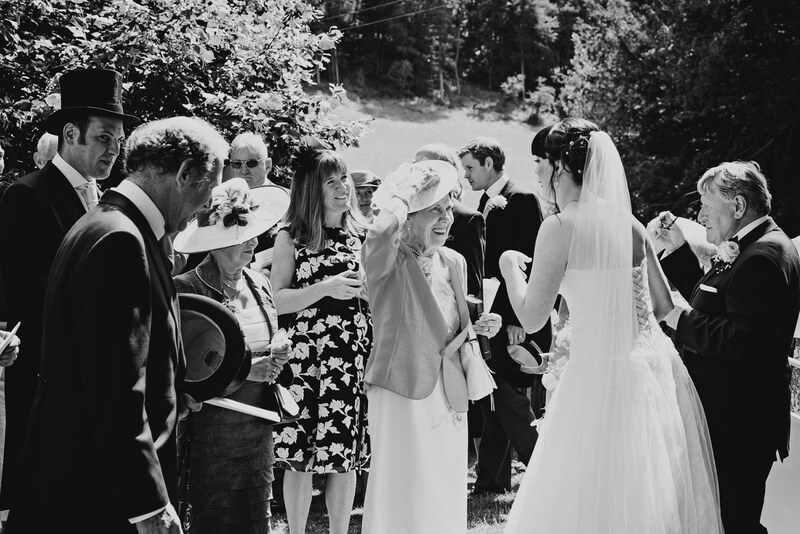 This was truly a perfect wedding at home, with amazing weather and friends and family to share the day with. 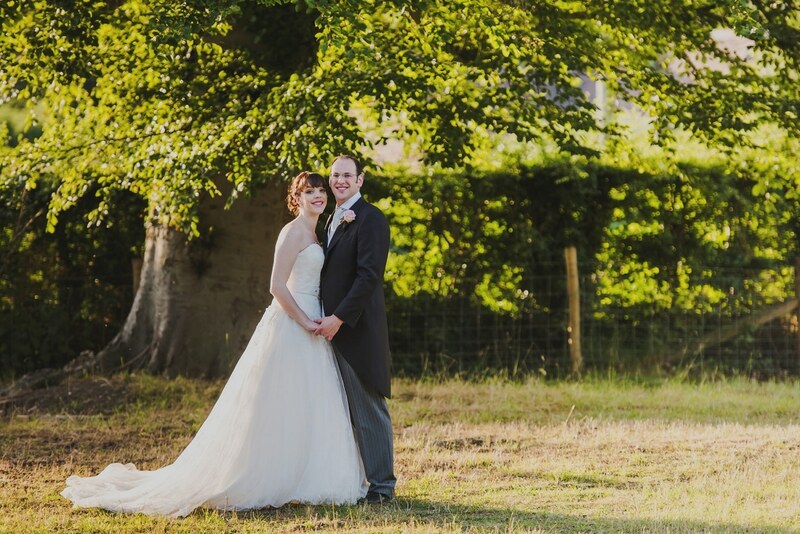 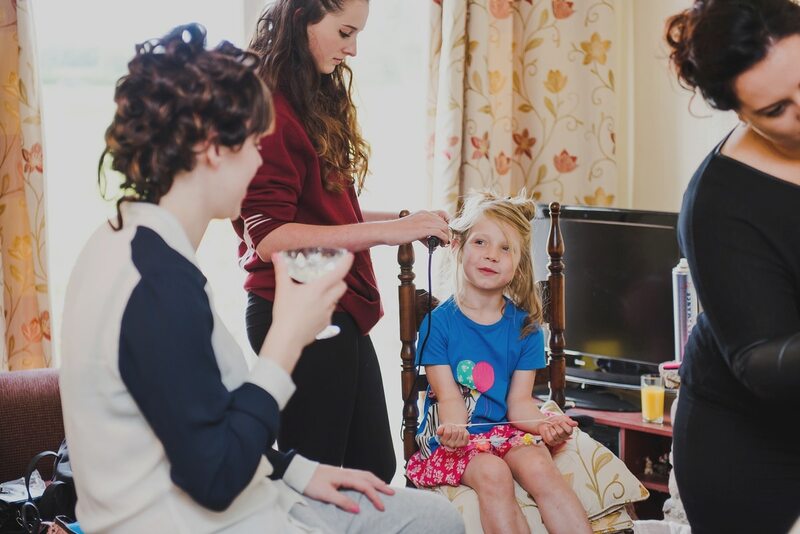 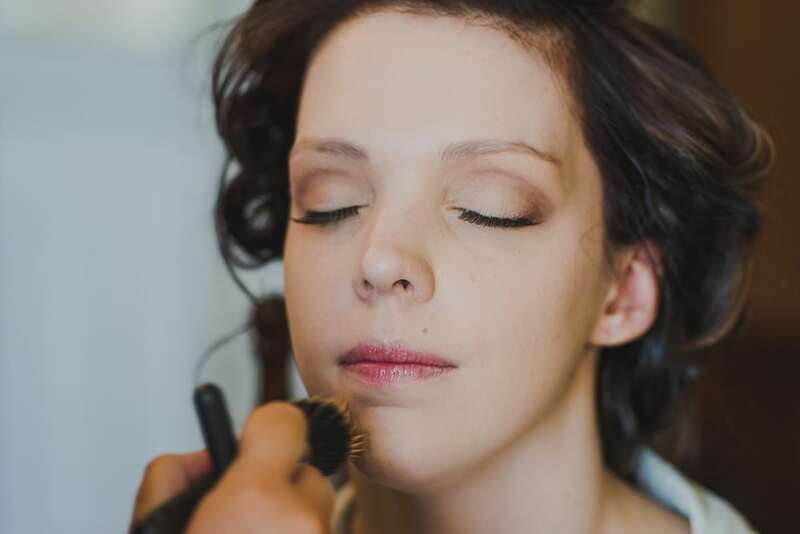 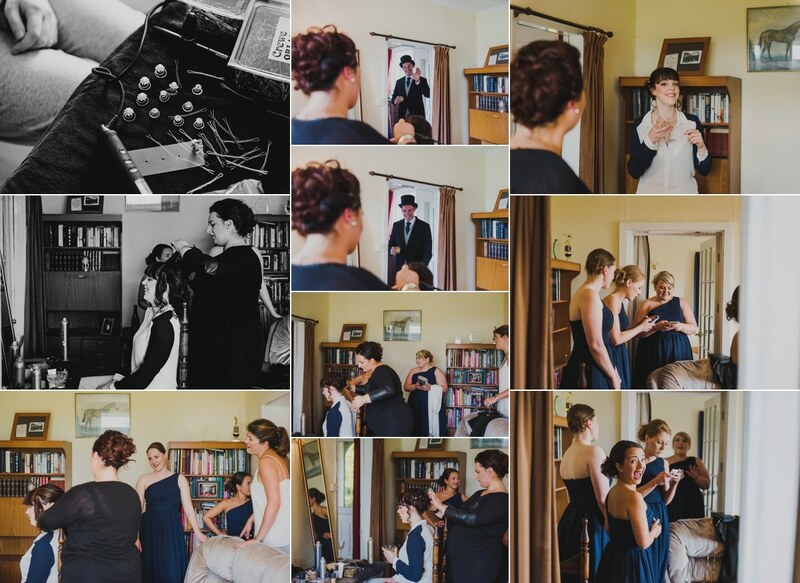 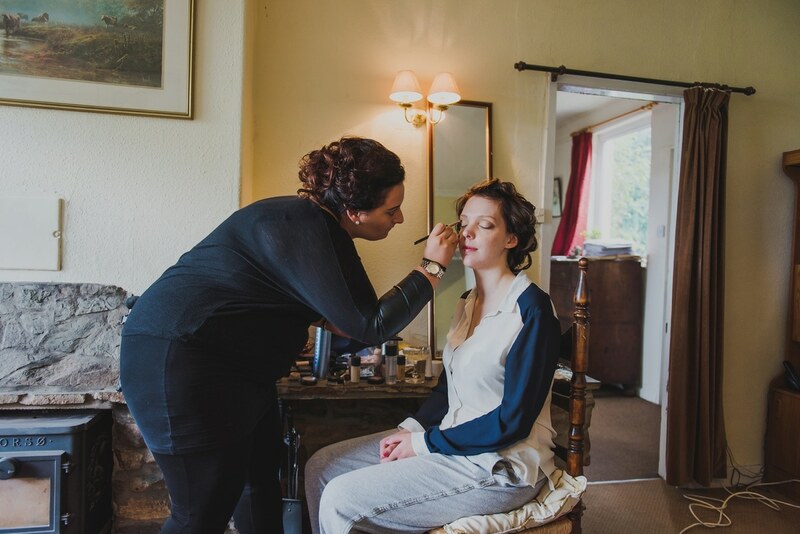 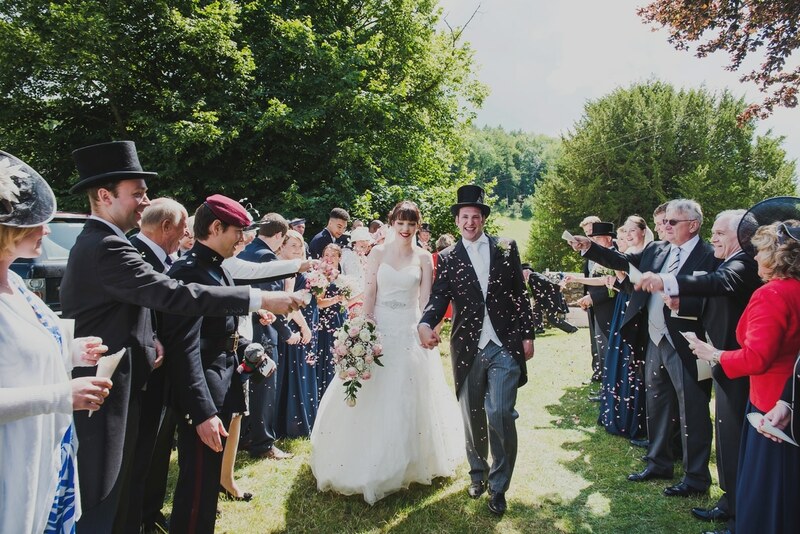 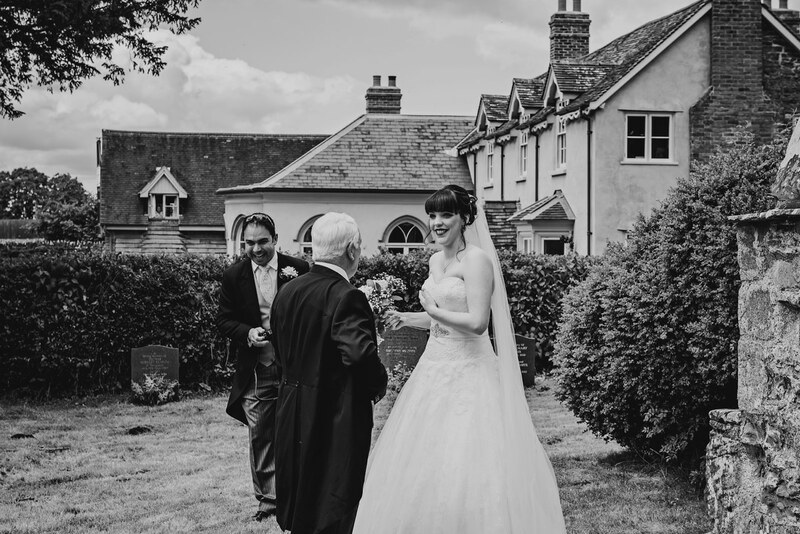 This was perfect for a relaxed at home wedding, with amazing weather to finish it all off. 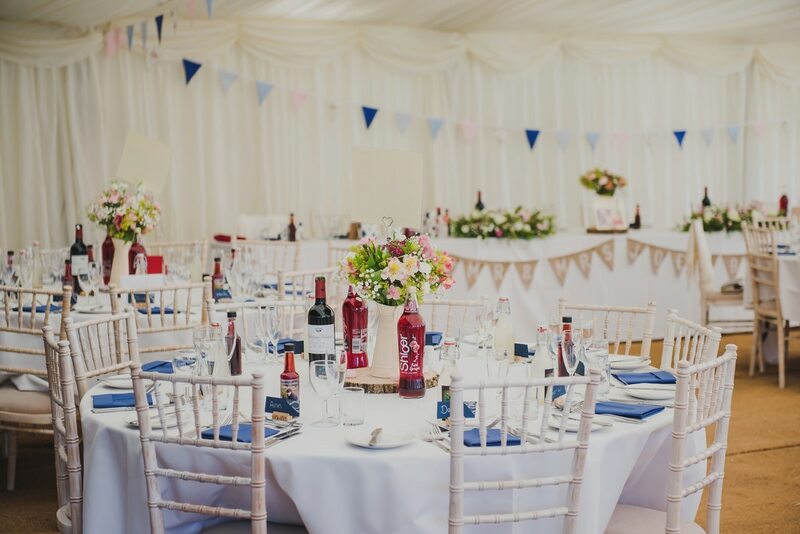 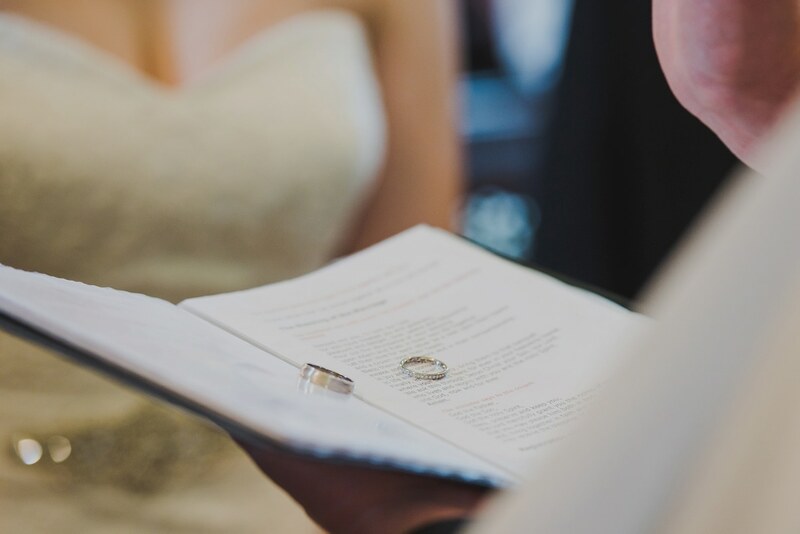 Are you having a At Home Wedding? 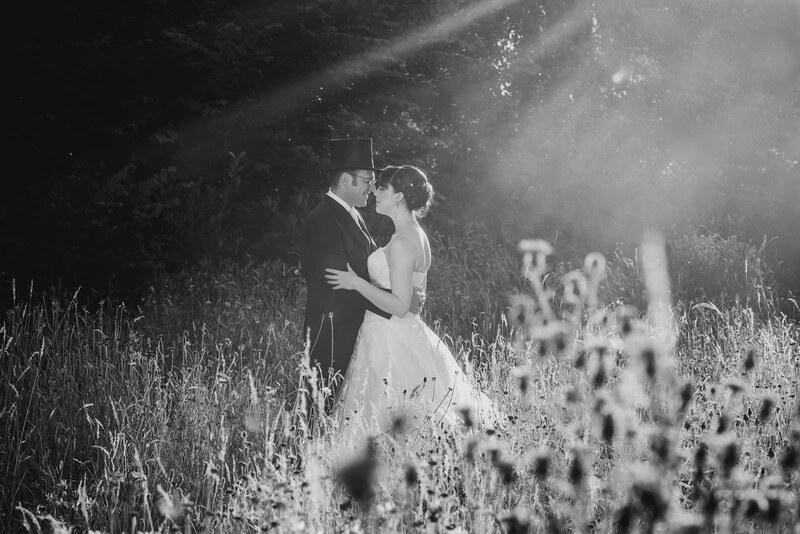 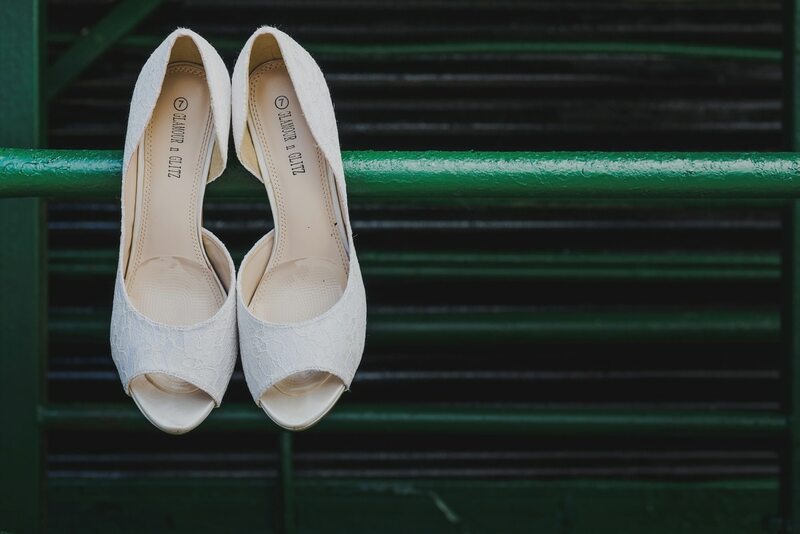 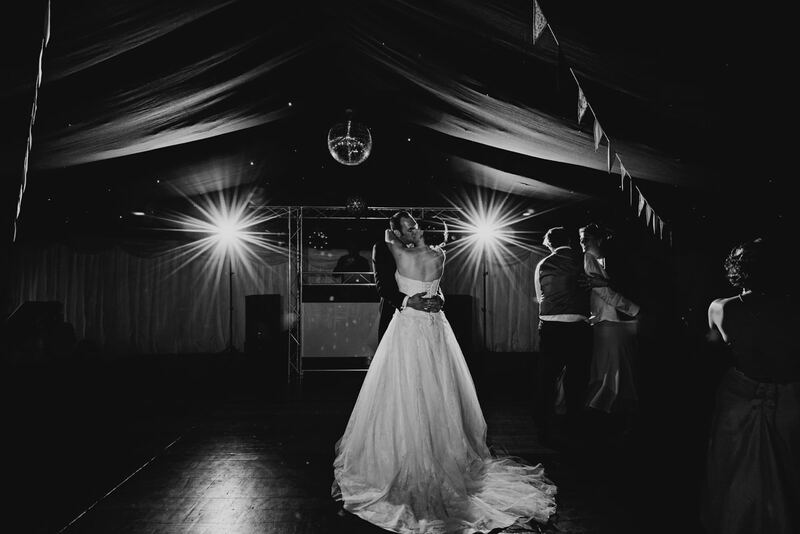 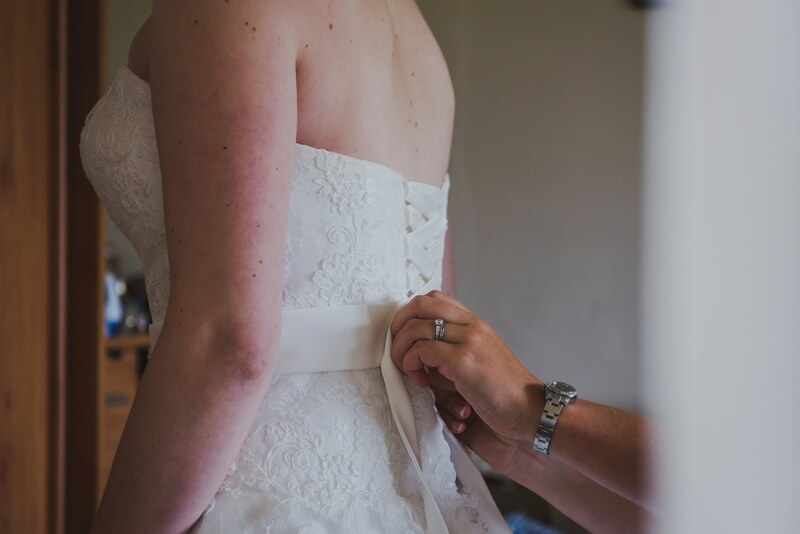 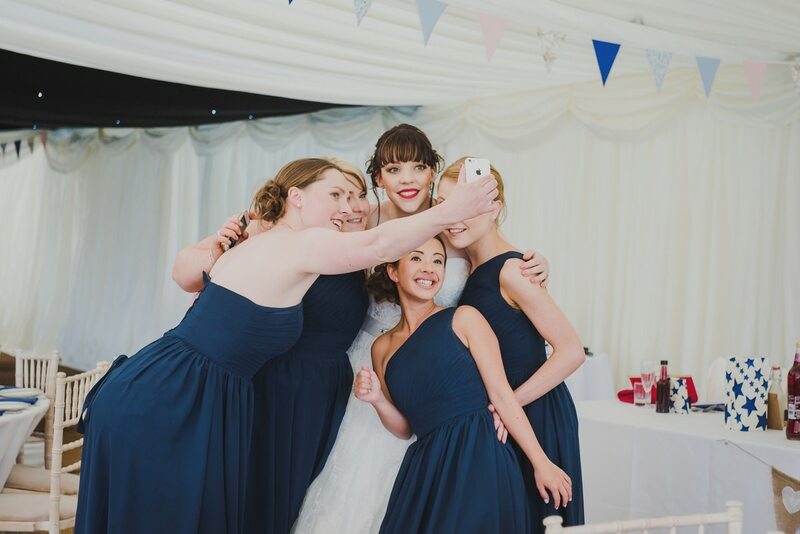 Love what I do and like my style of wedding photography? 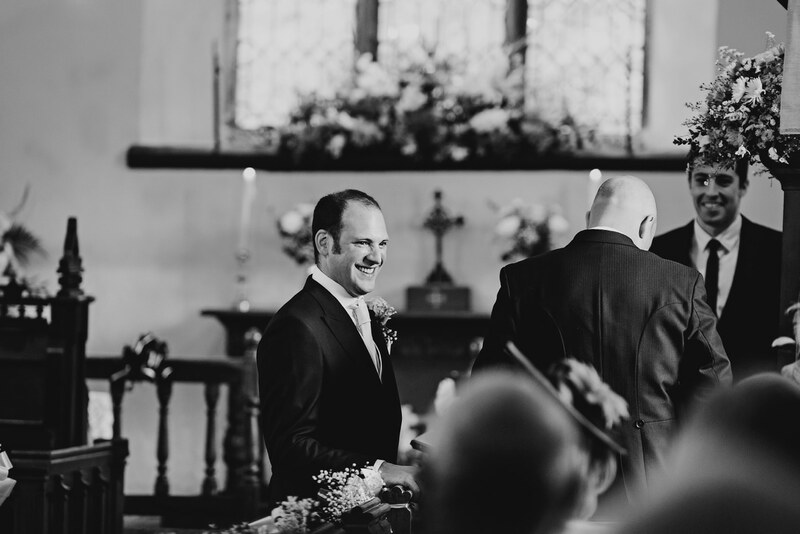 Would like to know abit more about me, then get in touch here to discuss your day.